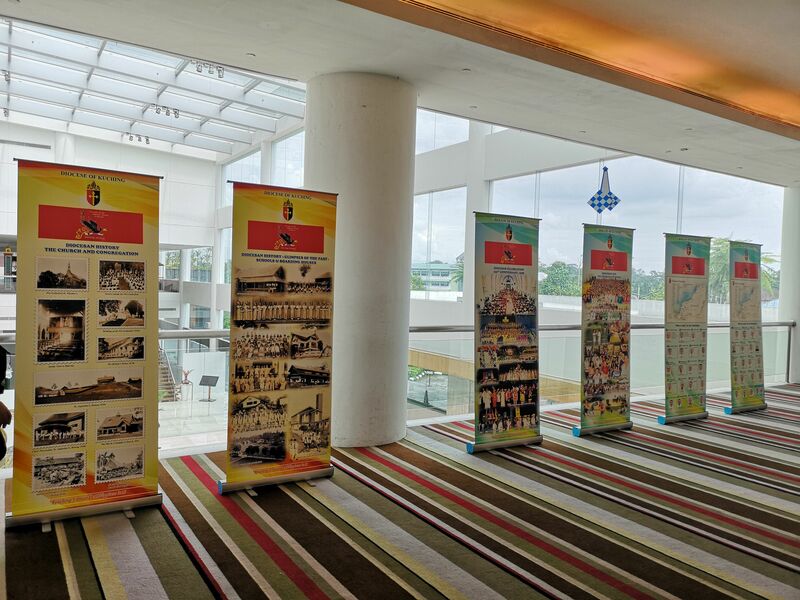 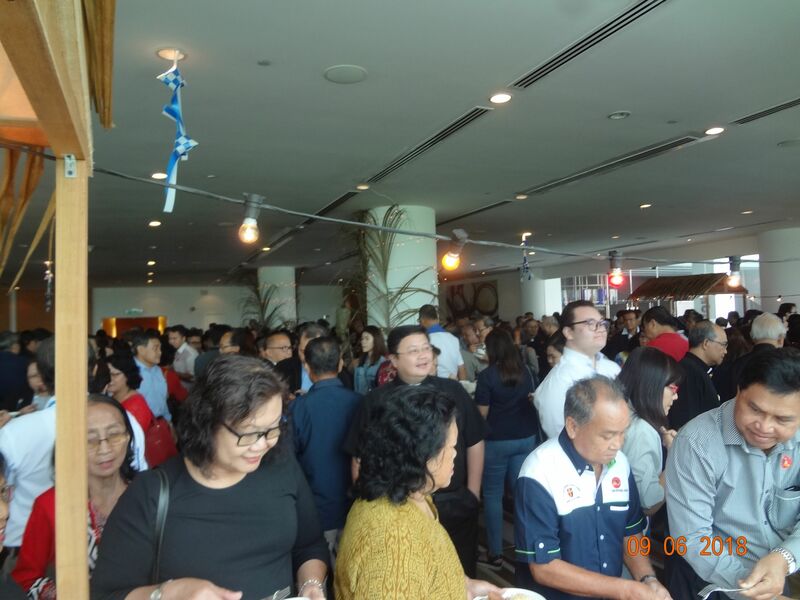 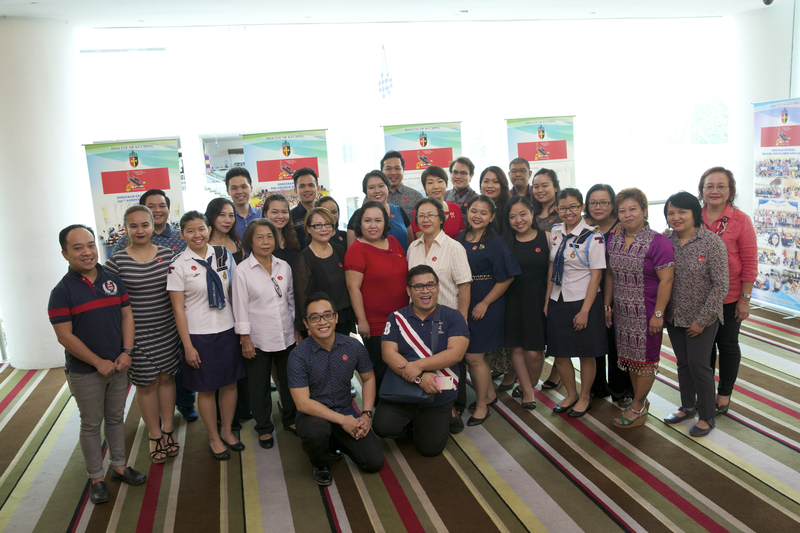 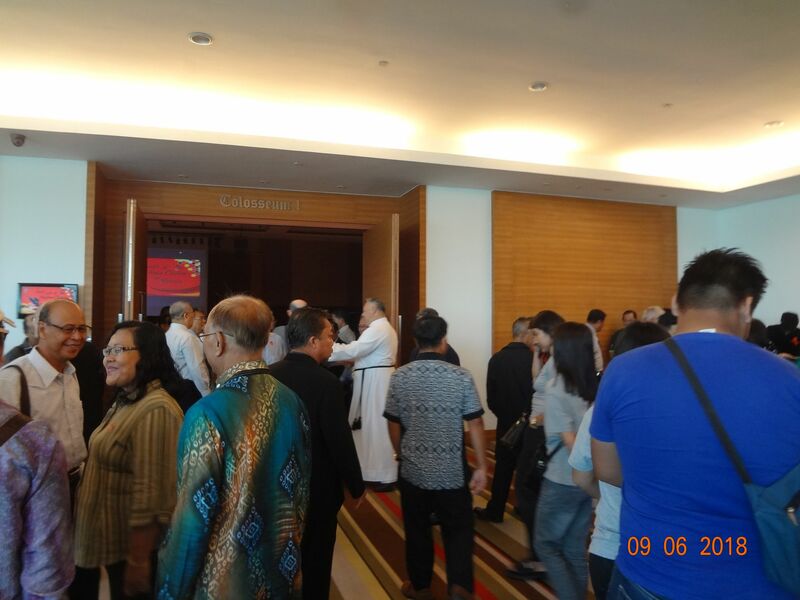 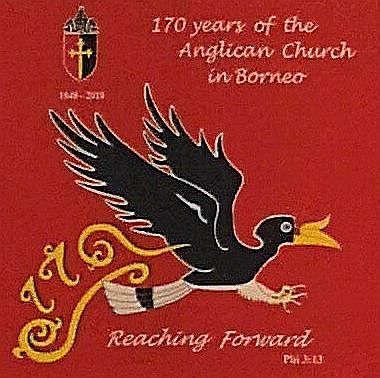 The Anglican Church in Sarawak and Brunei, known as the Diocese of Kuching, began its year-long celebration of 170 years of the Church in Borneo with the forum “The Diocese of Kuching: The Past, the Present and The Future” on 9th June 2018 at Pullman Hotel Kuching from 9am to 1pm. 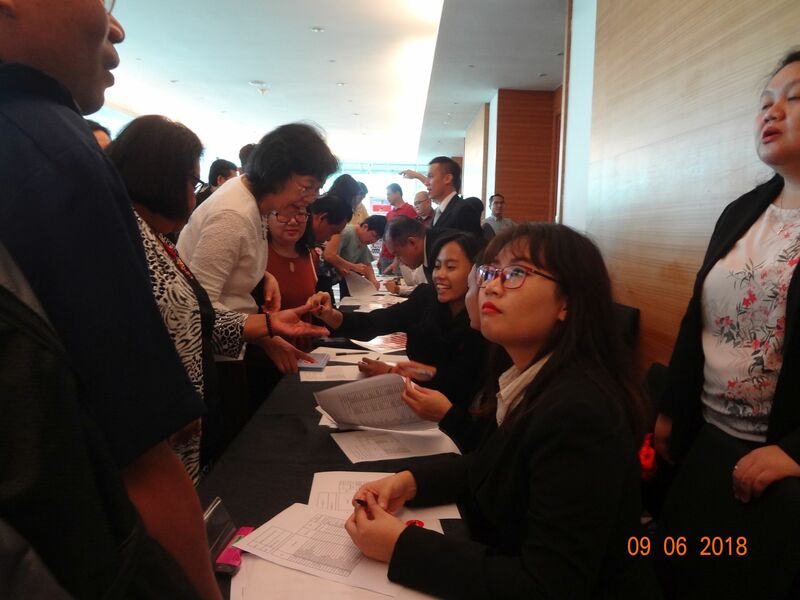 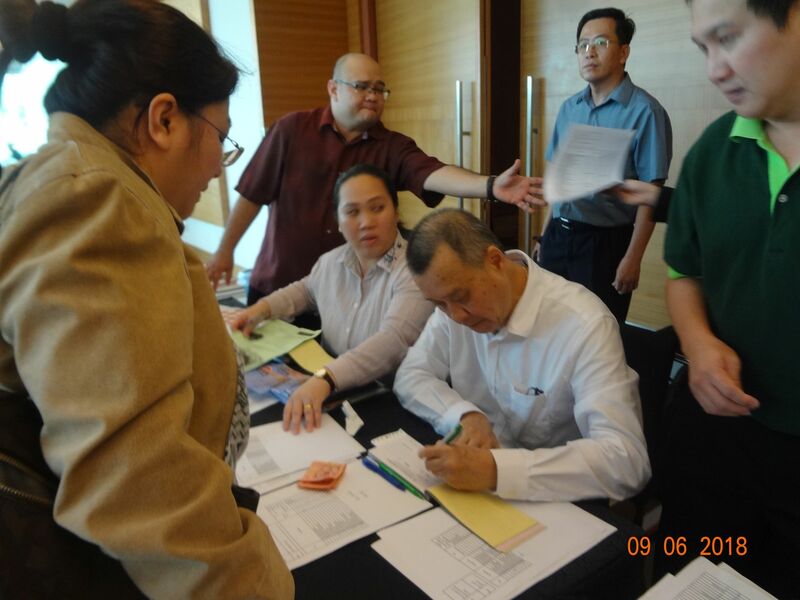 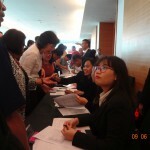 Registration of participants started at 7.45am with the PCC and Dean from St. Thomas’s Cathedral Kuching welcoming the guests. 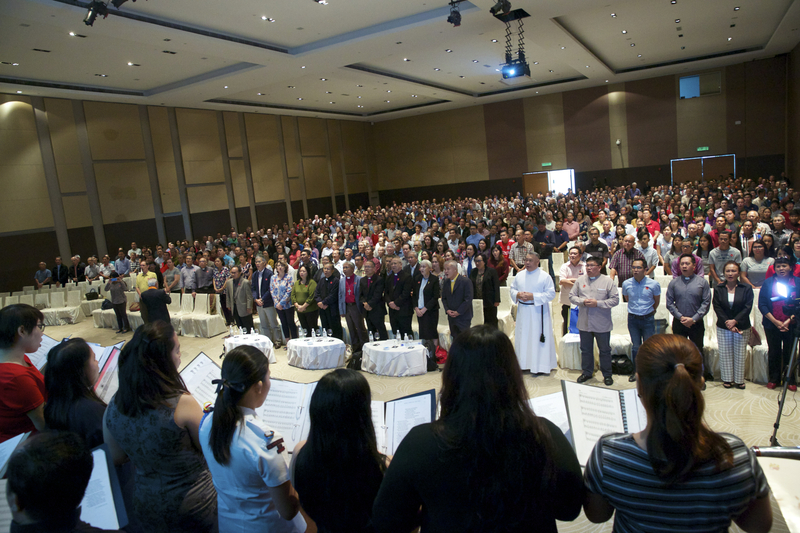 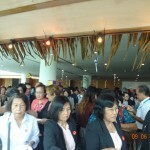 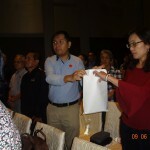 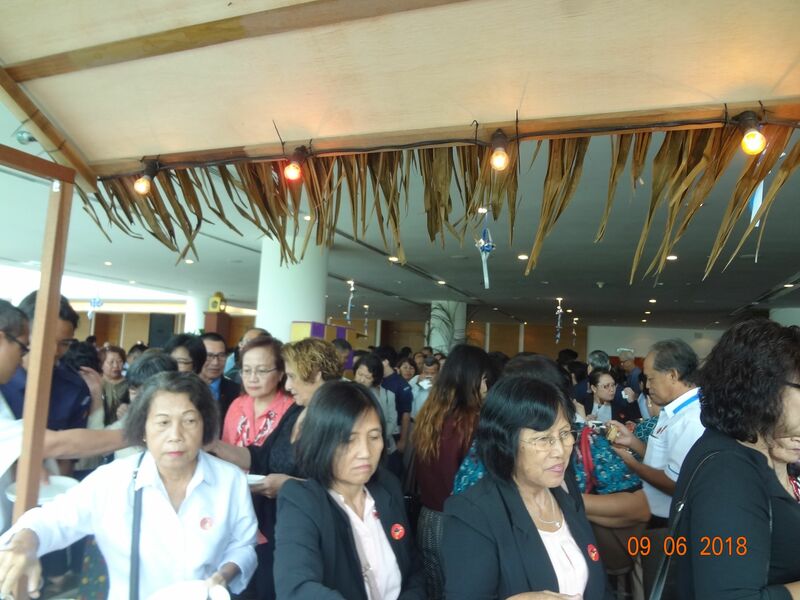 Around 1,000 participants attended the forum. 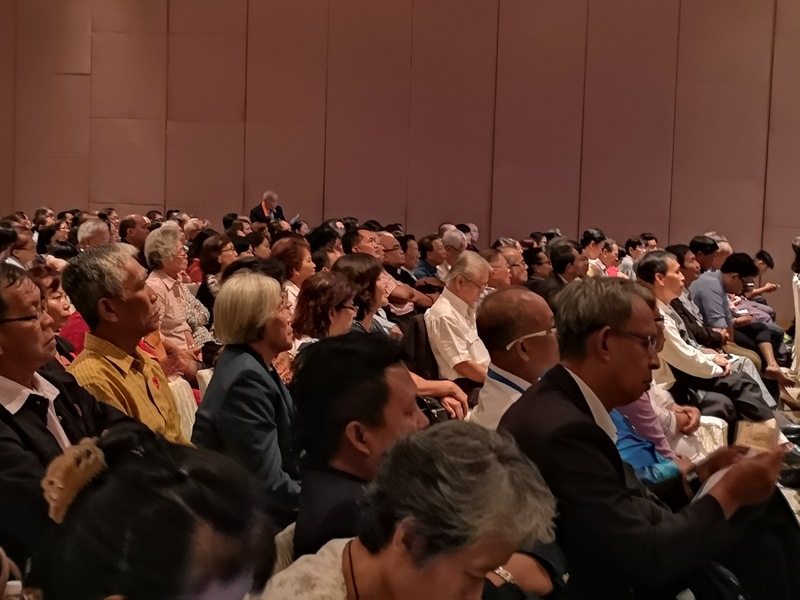 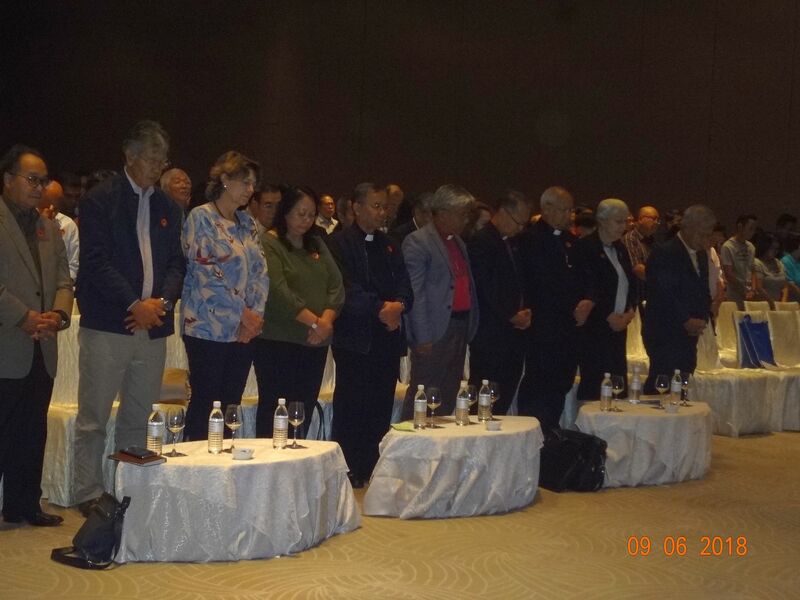 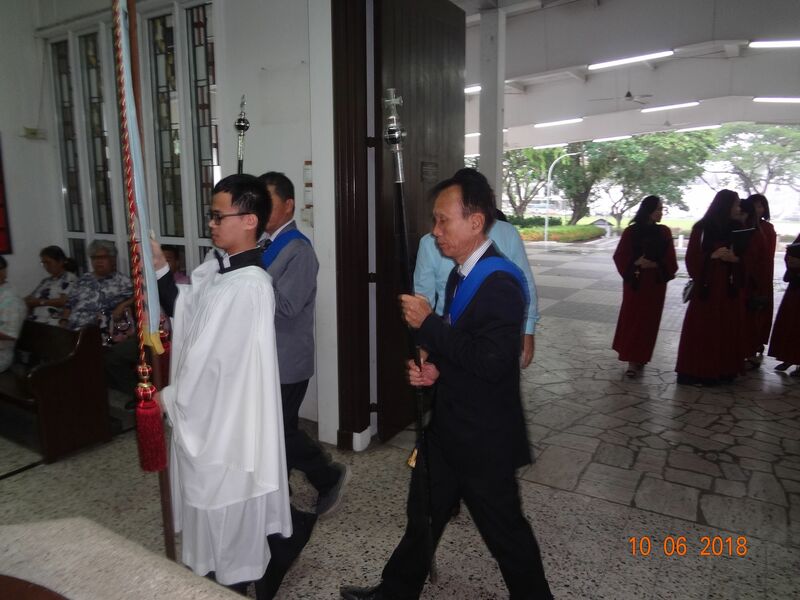 At 9.00am, the forum began with an opening prayer by Dean of St. Thomas’ Cathedral, the Very Rev’d Kho Thong Meng, and singing of the hymn “The Church’s One Foundation”. 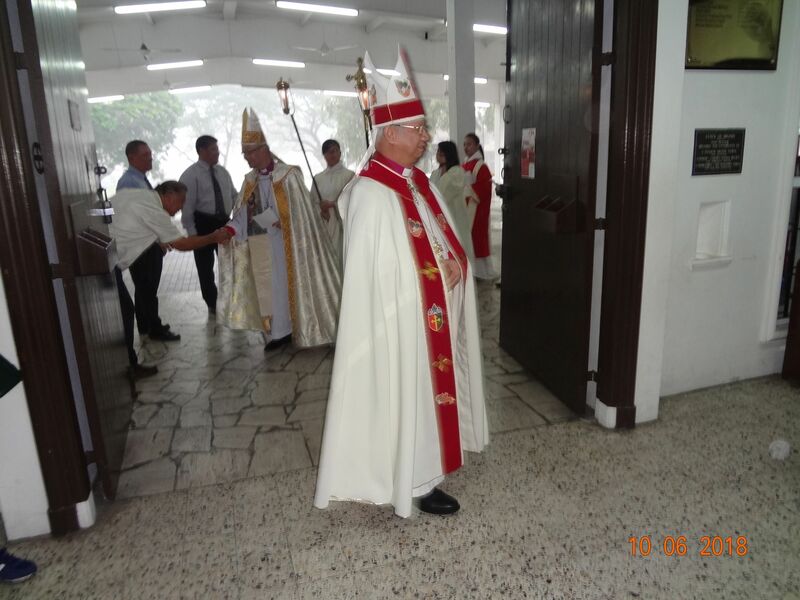 Bishop Aeries who retired on 10th August 2017, spoke on the arrival of the Revd. 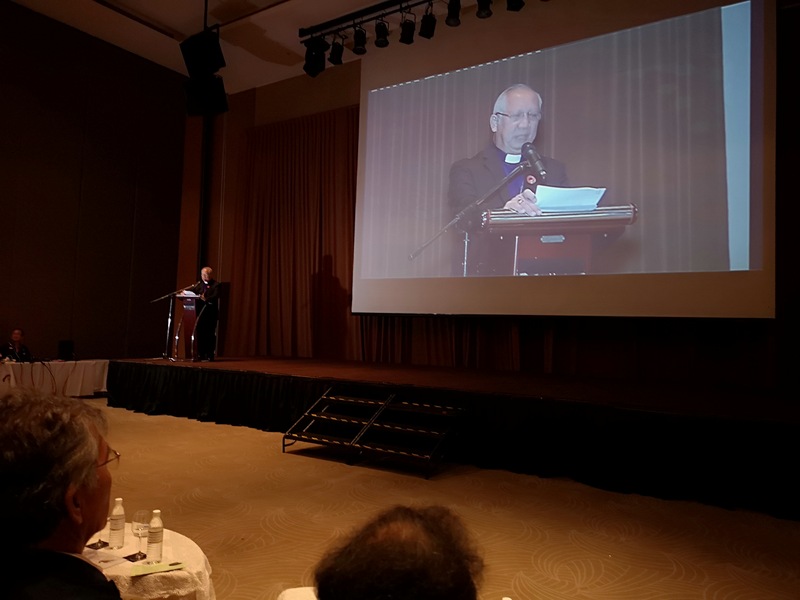 Francis Thomas McDougall, the first Bishop of the Diocese, with his wife Harriette, to Sarawak on 29th June 1848 and how they spread Christianity to the Natives of Sarawak. 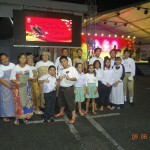 Sister Heidi Munan spoke on how Harriette educating the little children, building schools and clinics. 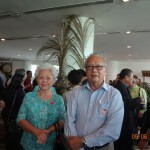 One of the participants, Historian Sidi Munan also gave more details of the past history. 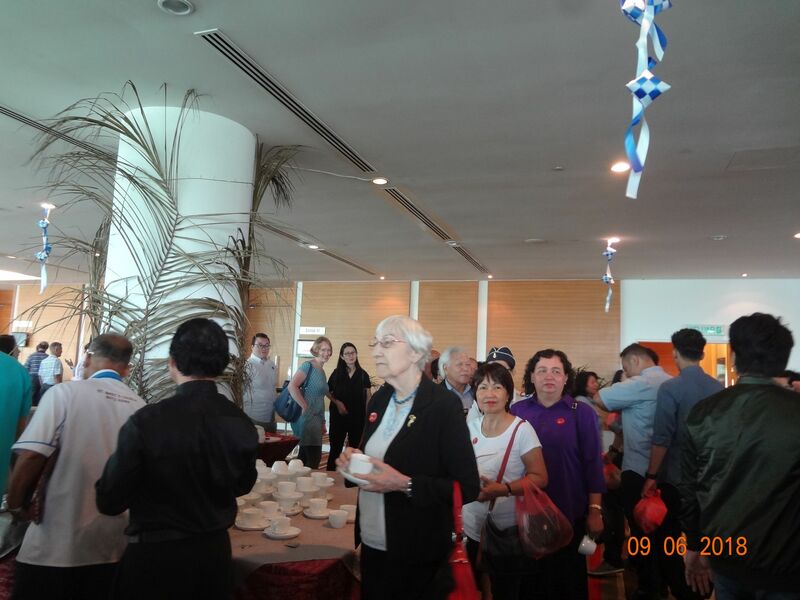 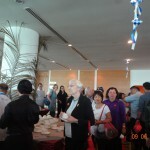 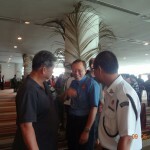 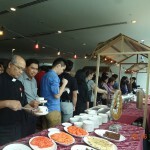 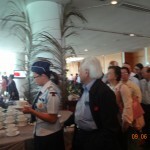 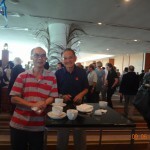 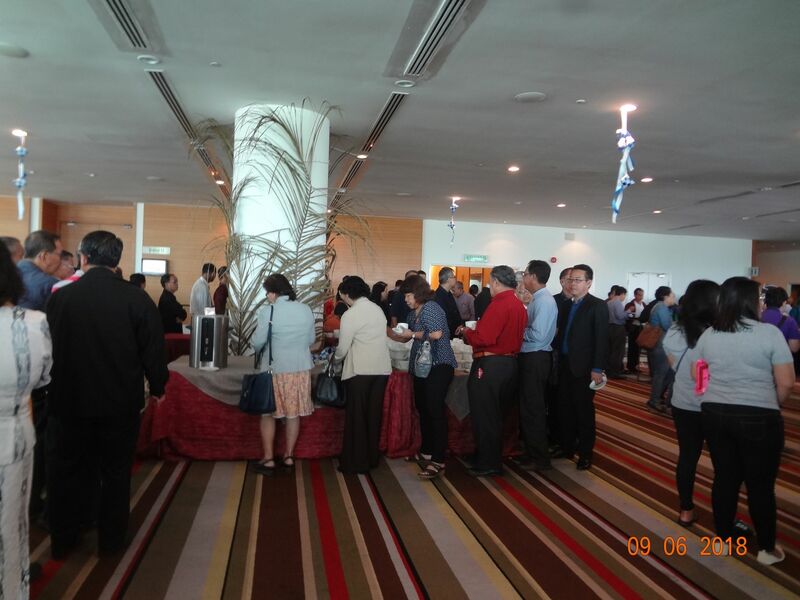 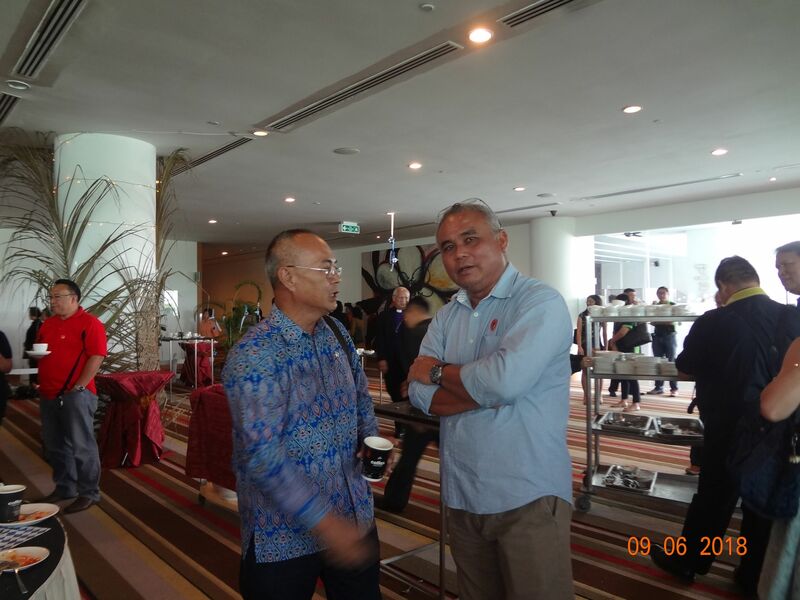 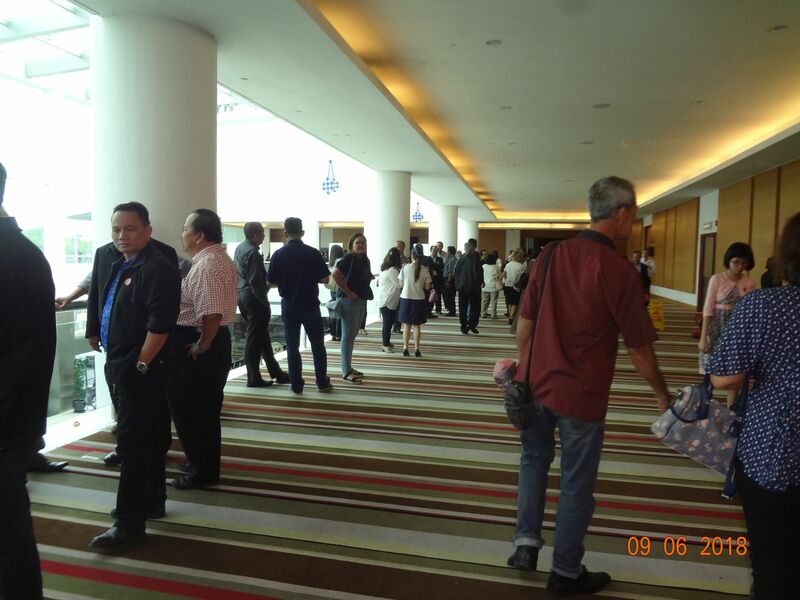 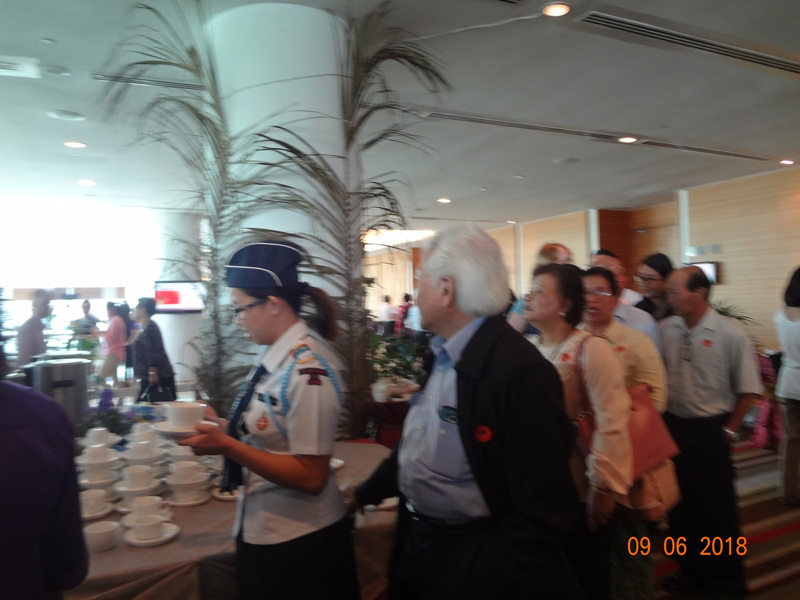 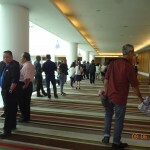 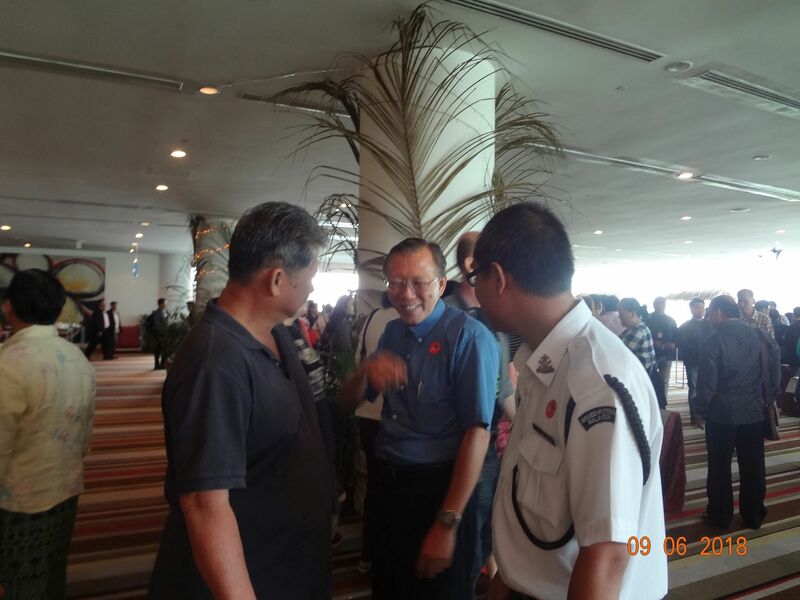 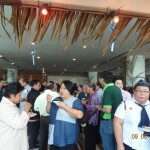 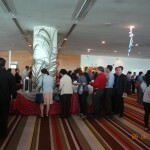 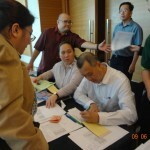 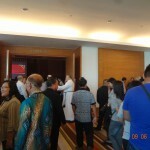 By 10.15 am, the participants enjoyed a coffee/tea break and fellowship with one another. 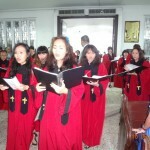 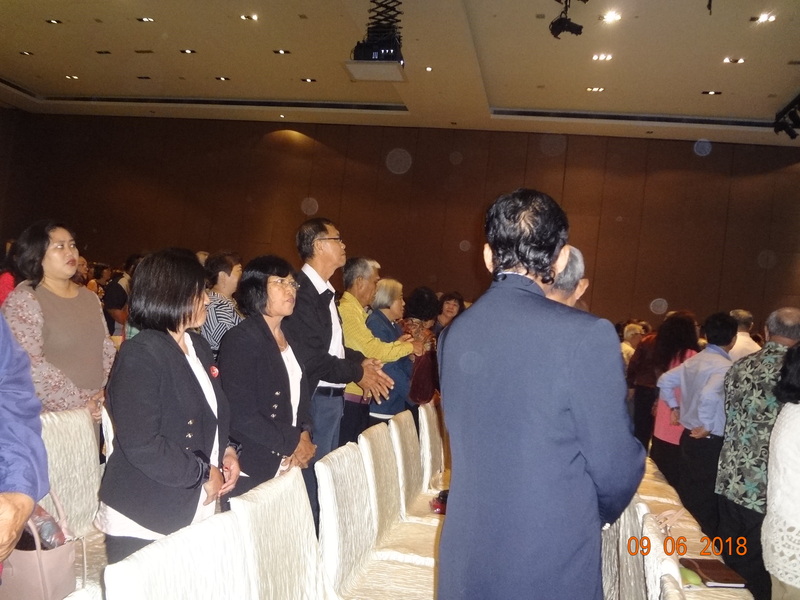 After tea break, offertory Hymn was sung and the participants gave the offering and gave thanks to the Lord. 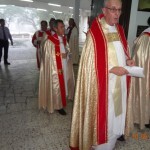 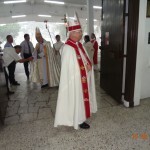 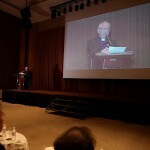 Part2 of the forum – ‘The Present’, was presented by former Bishop the Rt. 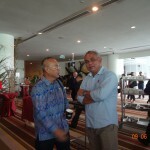 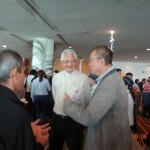 Rev’d Datuk Bolly Lapok and Rev’d Andrew Shie from 10.45am onward. 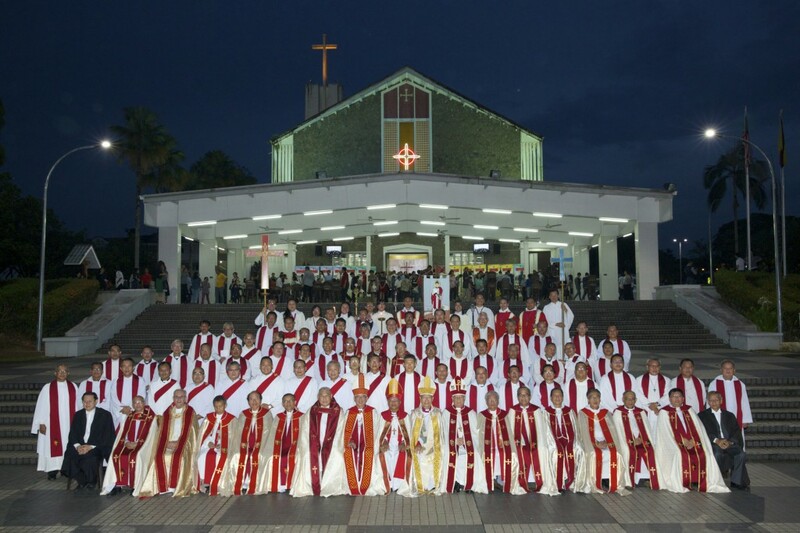 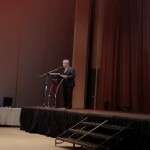 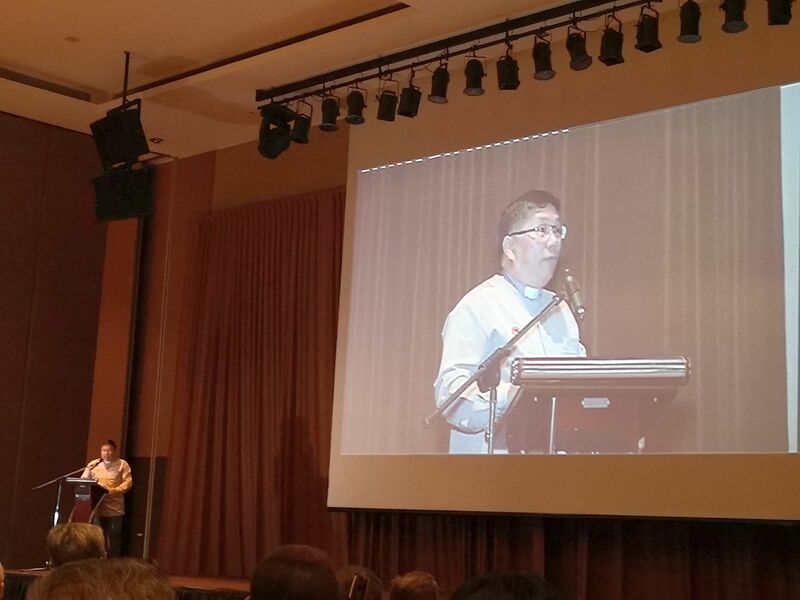 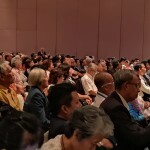 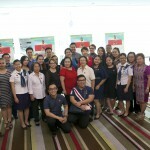 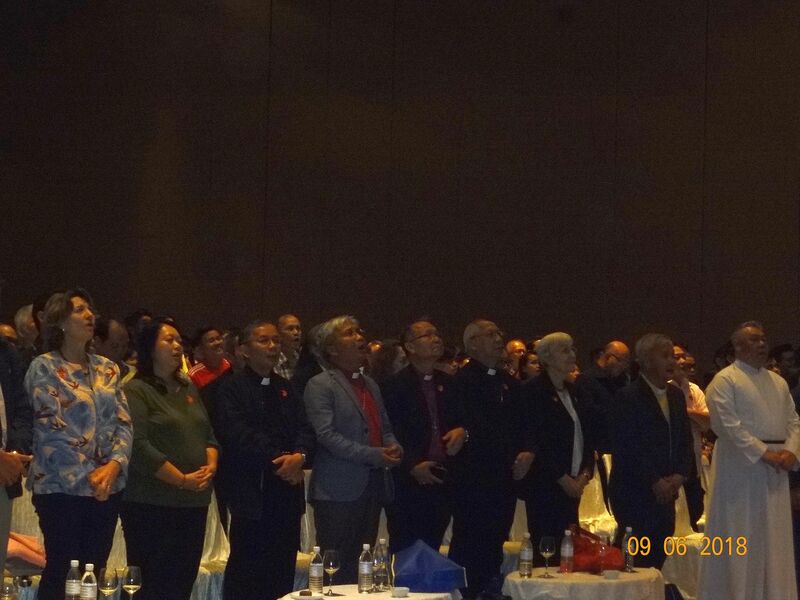 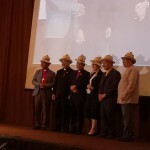 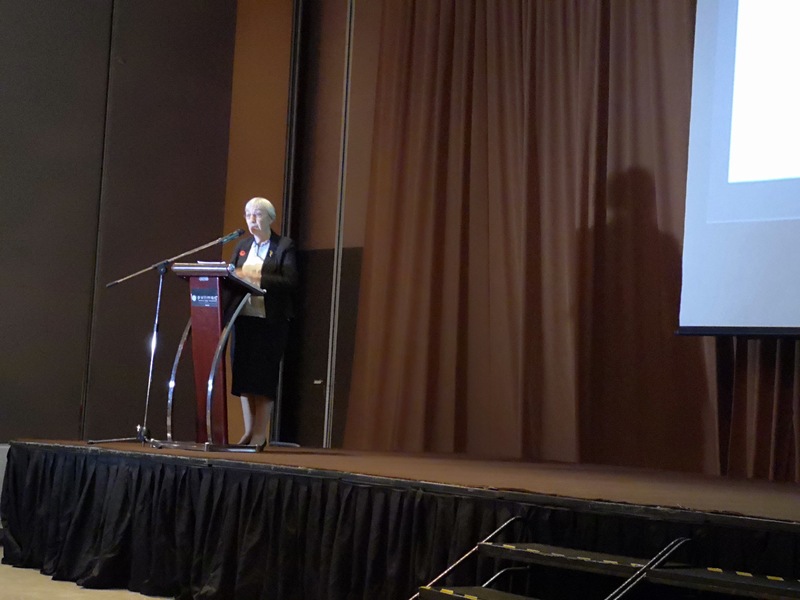 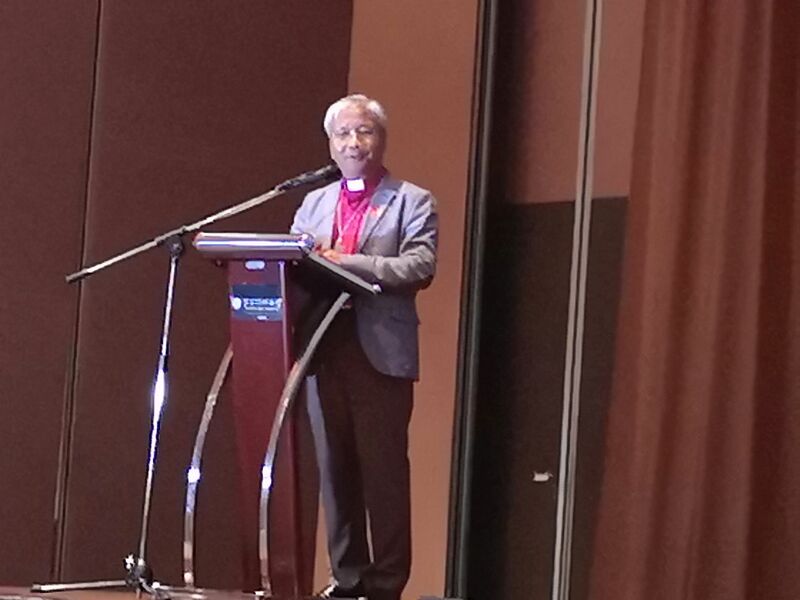 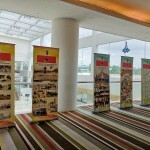 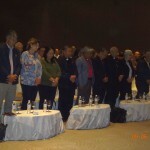 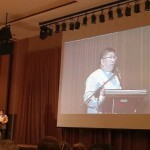 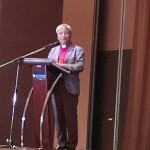 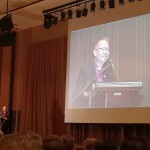 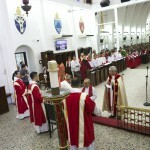 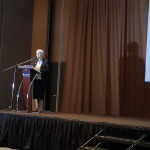 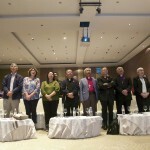 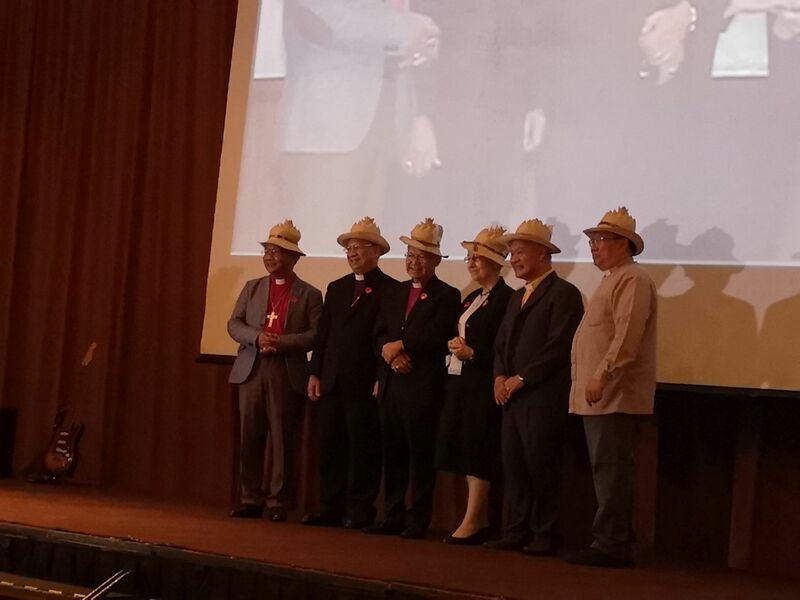 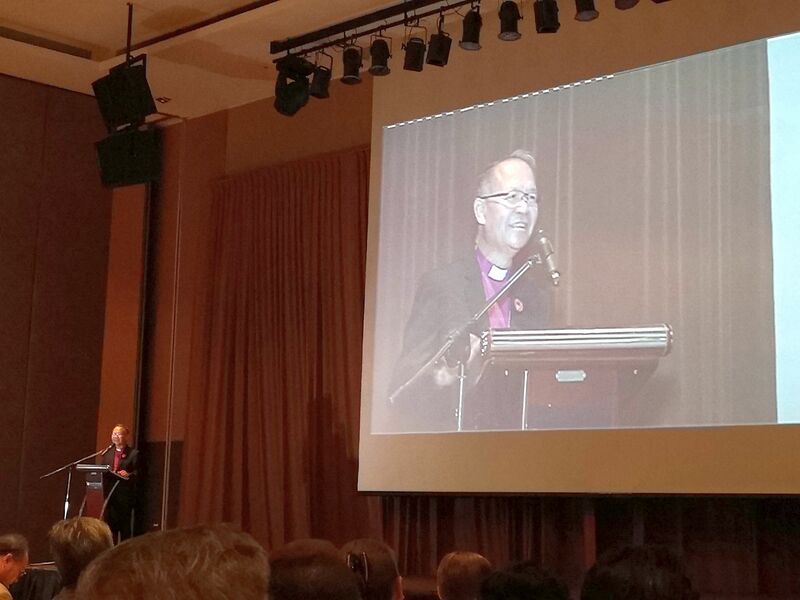 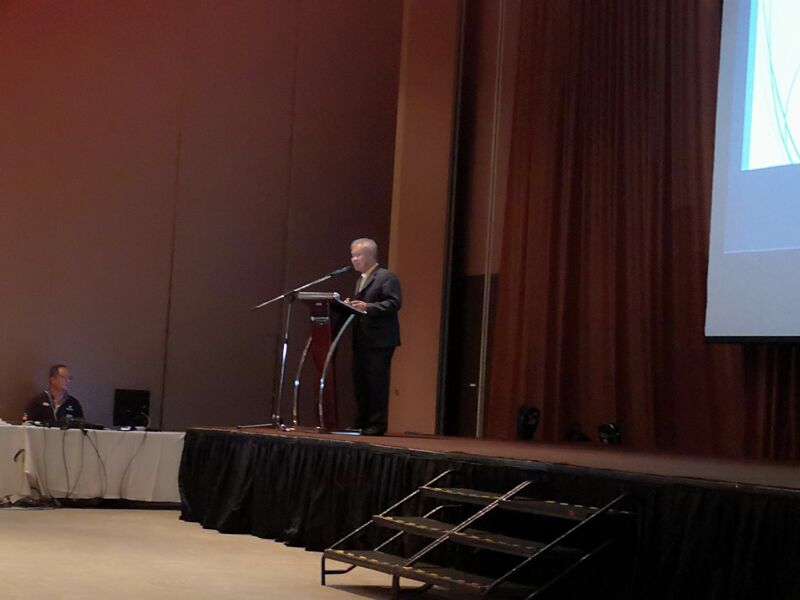 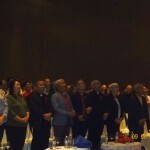 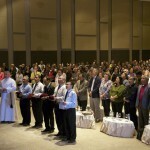 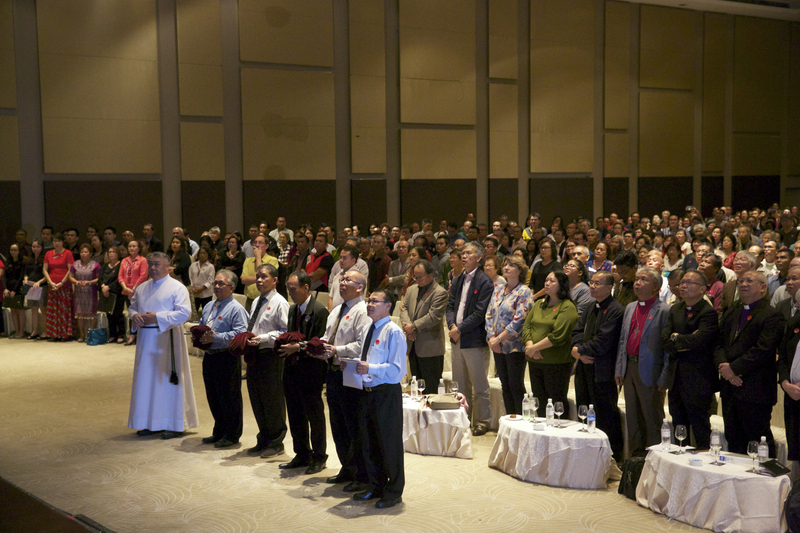 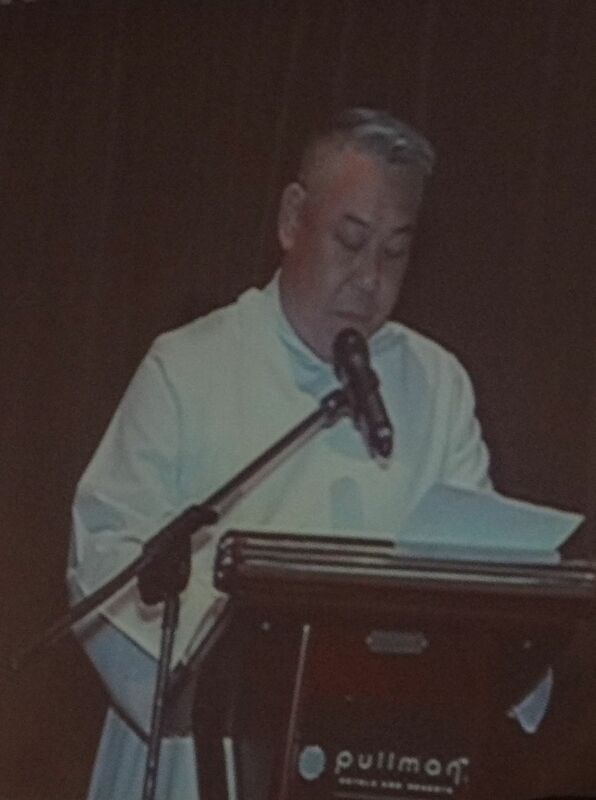 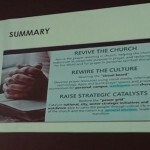 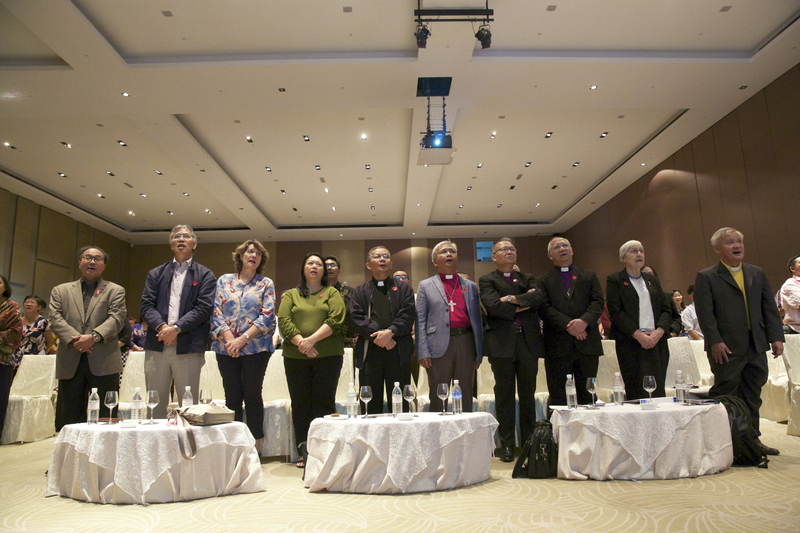 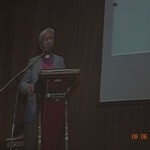 The final part of the forum, Part3 – ‘The Future’ was presented by Bishop of Kuching, the Rt. 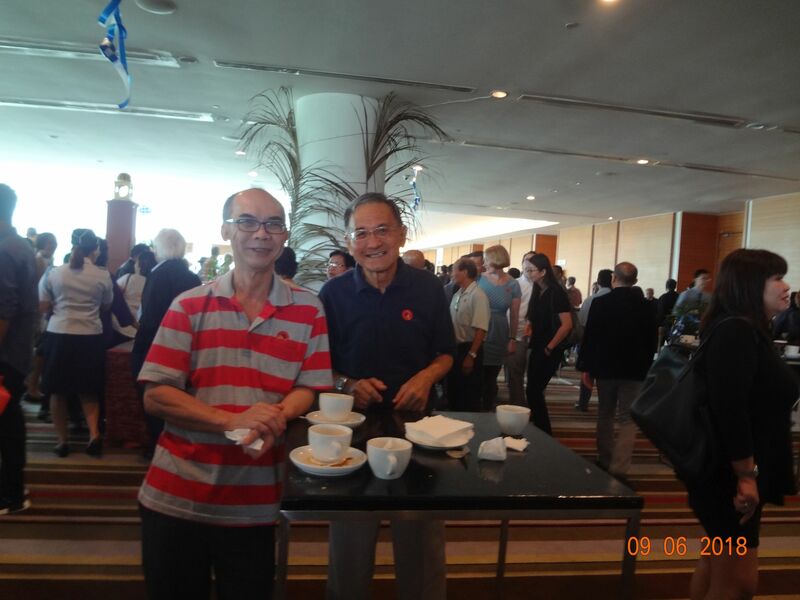 Rev’d Danald Jute, and Rev’d Ivor Emmanuel Lim. 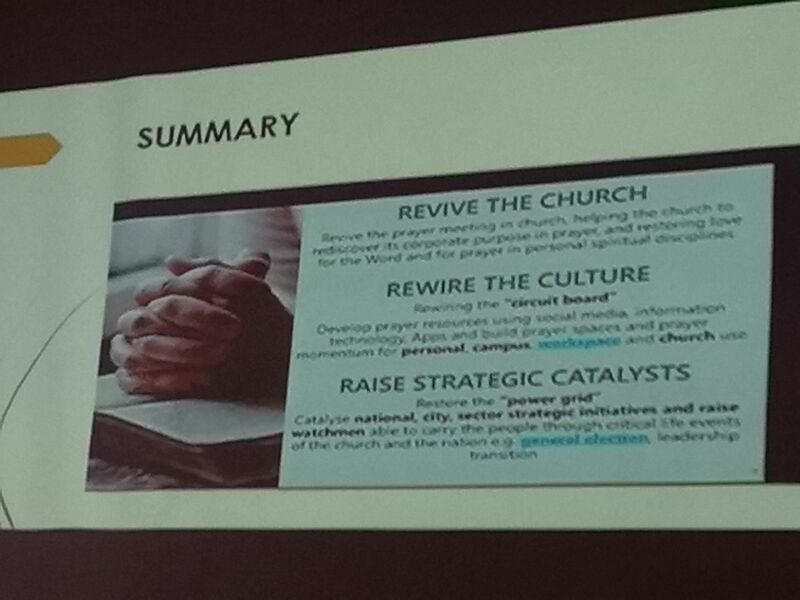 Bisho p message ‘Reaching Forward’ on Philippians 3: 13 that all should focus on Jesus only and the Gospel is powerful to transform us when we are opened to the words of the Holy Spirit. 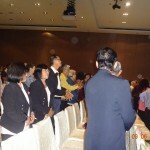 He invited all to walk closer to Jesus for God’s glory and to walk closer with one another. 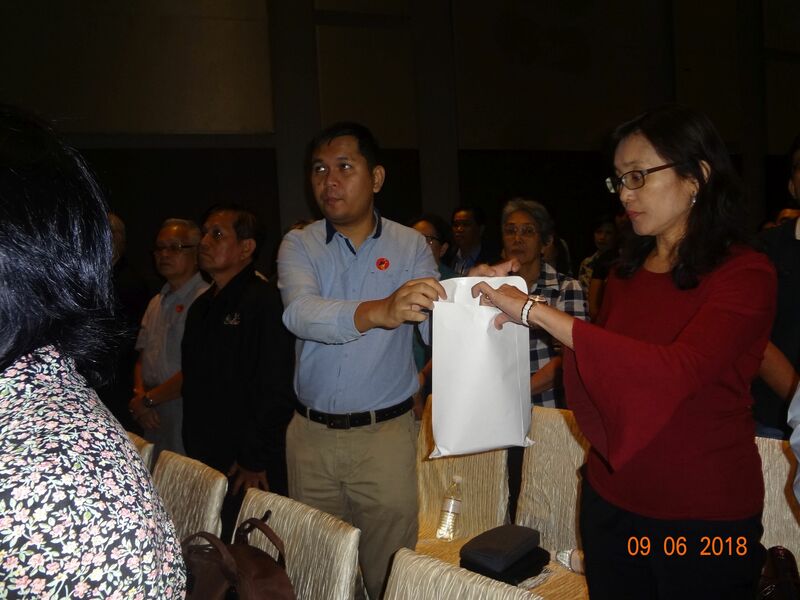 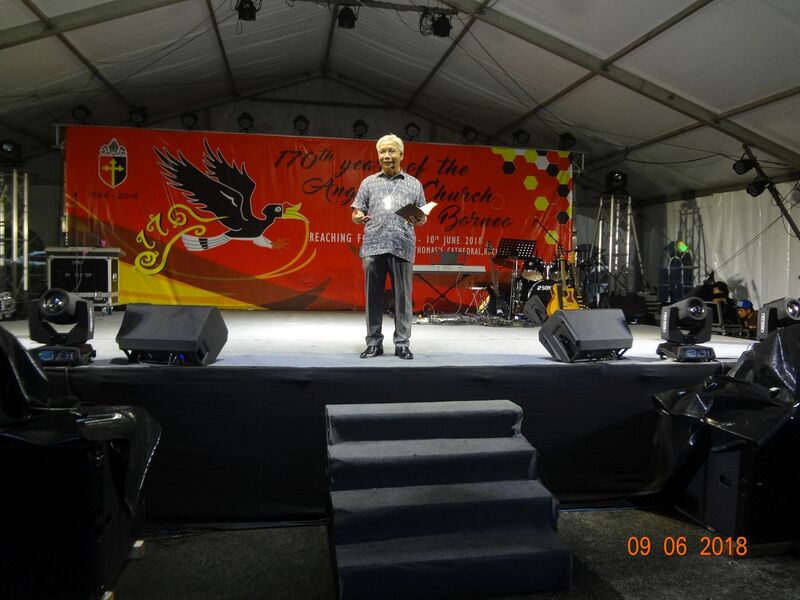 Rev’d Ivor spoke on how to go forward by knowing the word of God and the mission (The Great Commission – Matthew 28:18-19) and vision of the Diocese of Kuching . 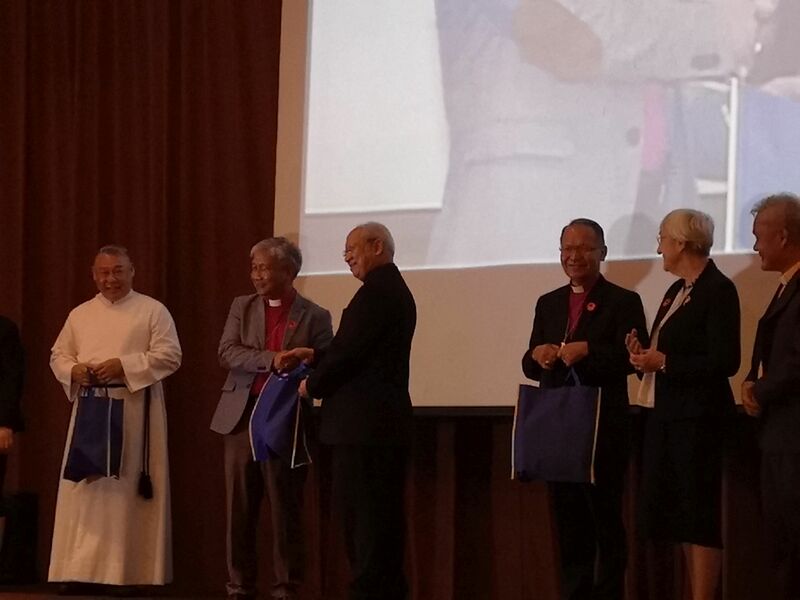 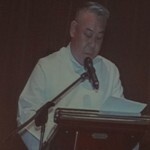 Love gifts were presented to the speakers by Dean, the Very Rev’d Kho Thong Meng. 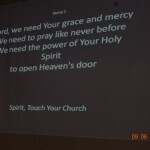 The Forum ended by 12.45pm with Bishop Danald closing in prayer and the Theme song ‘Spirit, Touch Your Church’ was sung. 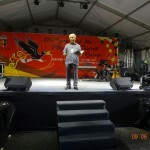 In the evening, at 7pm, the Anglican Diocesan Youth Council led by its president, Sis. 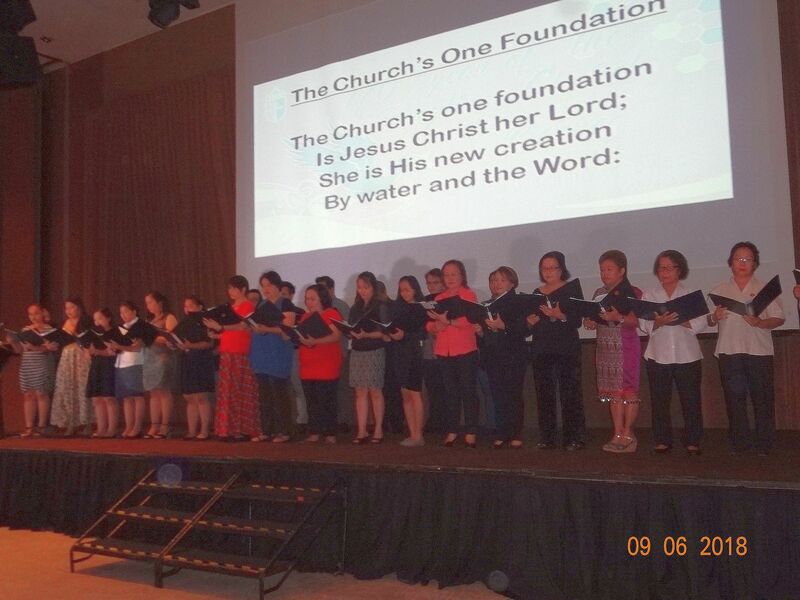 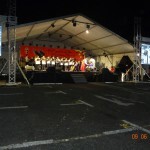 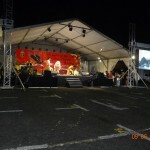 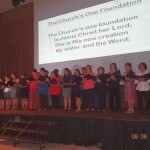 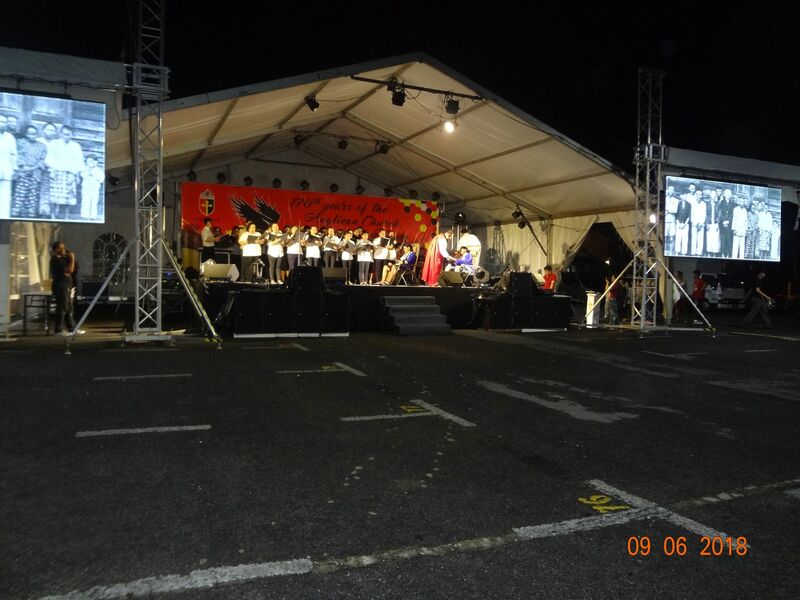 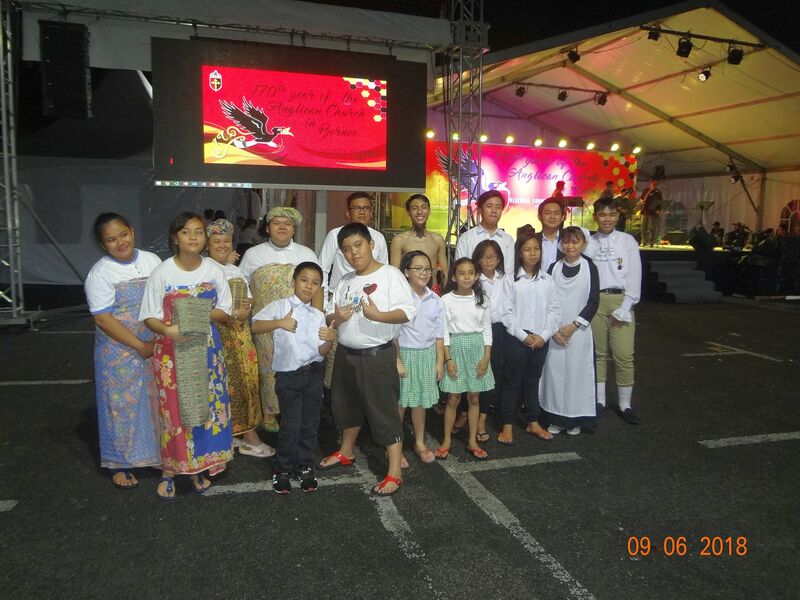 Phyllis Montegrai , presented a concert to commemorate the 170th anniversary of the arrival of the Anglican Missionary to Borneo. 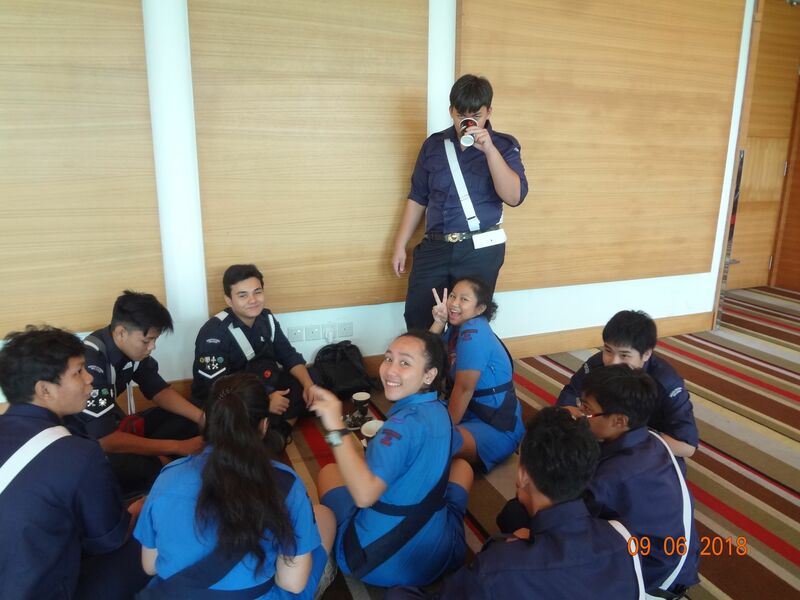 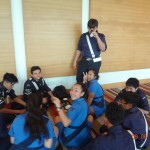 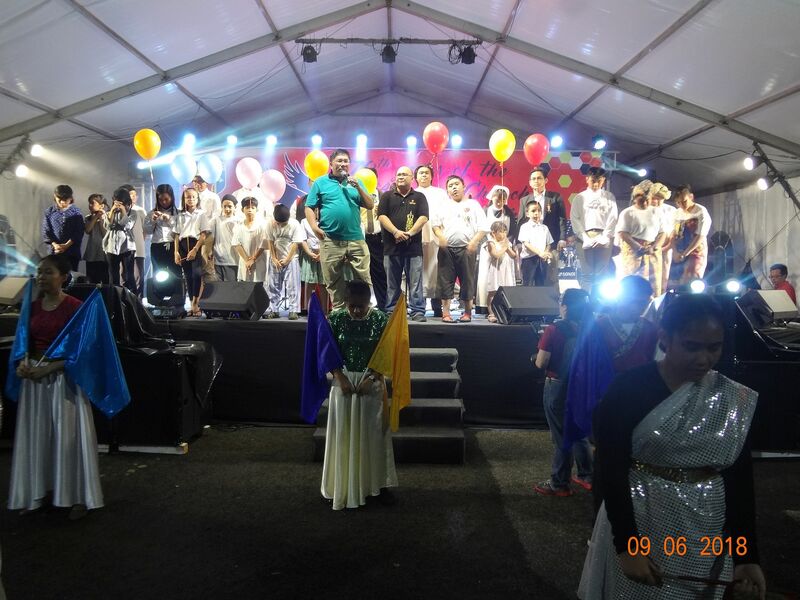 The performance was enacted by ADYC Region 6. 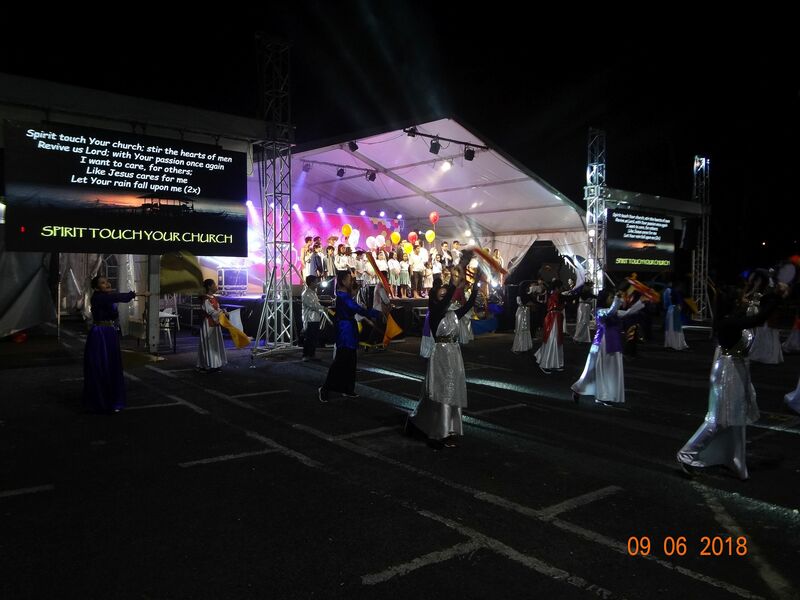 At 7.30pm, Rev’d Andrew Shie recited the opening prayer, giving thanks to God for His faithfulness and love, followed by Hymns and Praise and Worship by the choir groups. 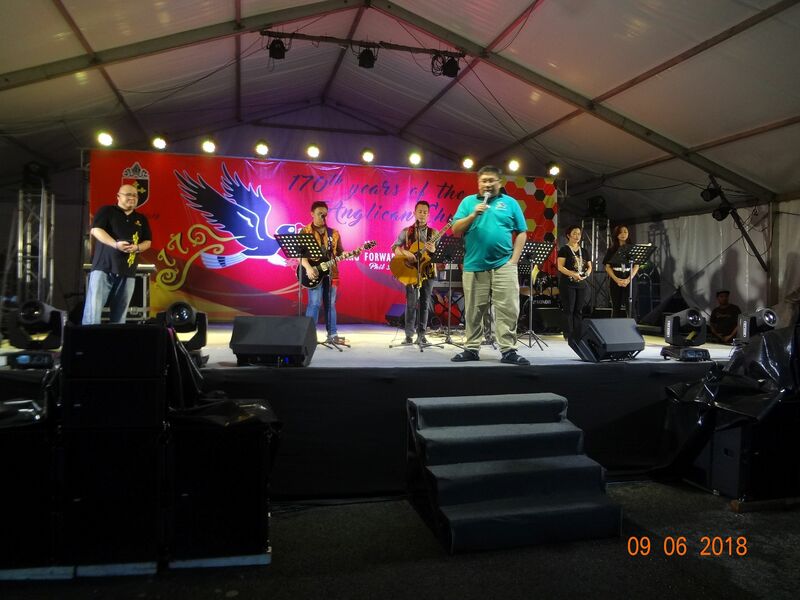 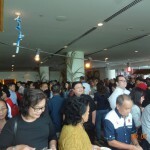 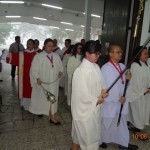 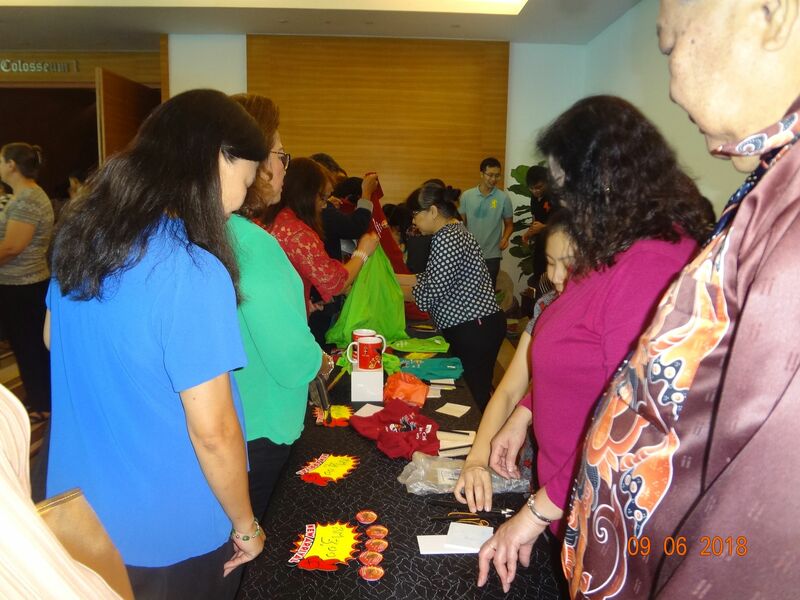 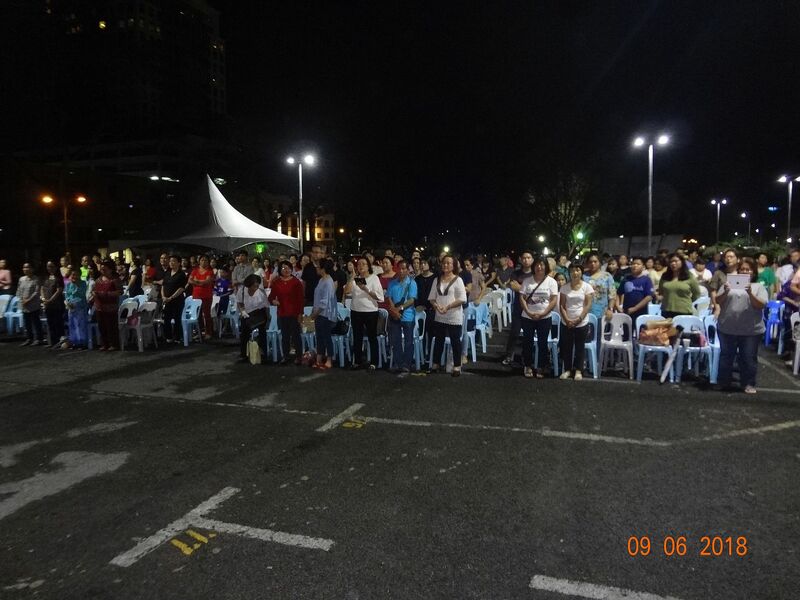 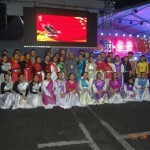 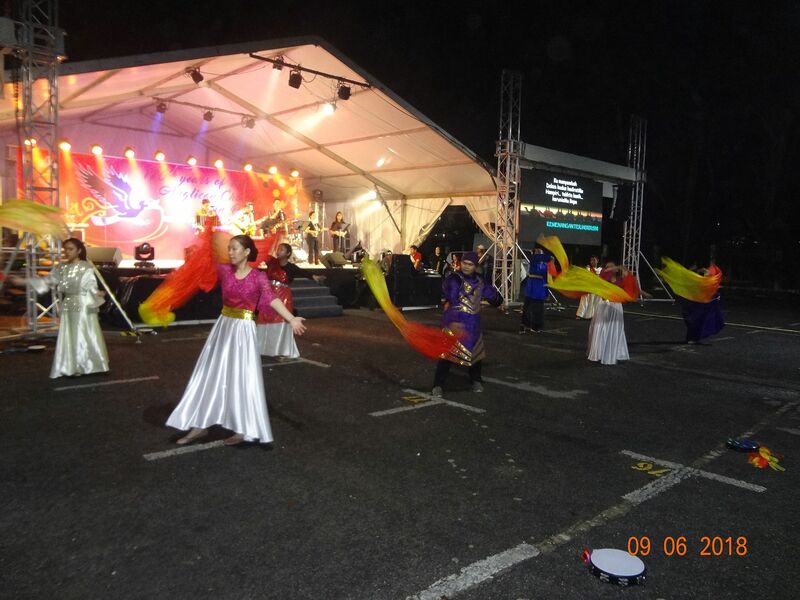 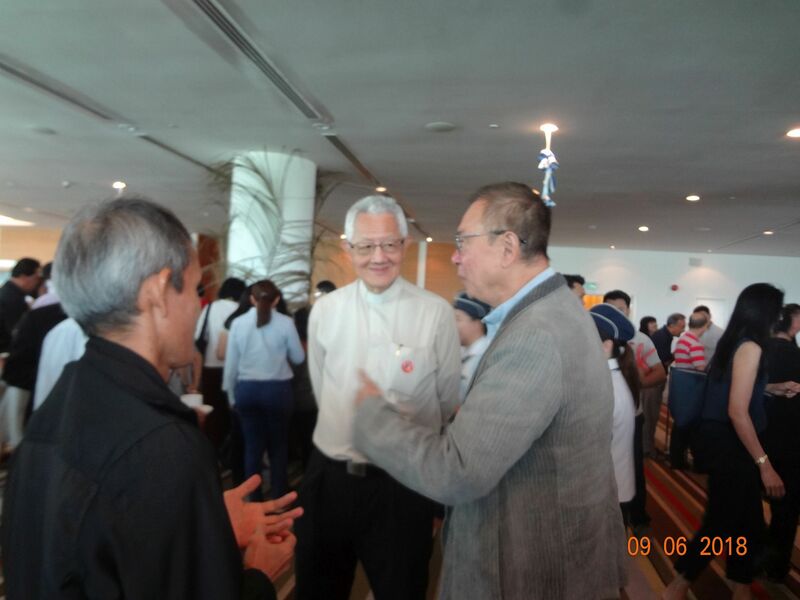 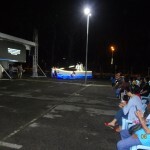 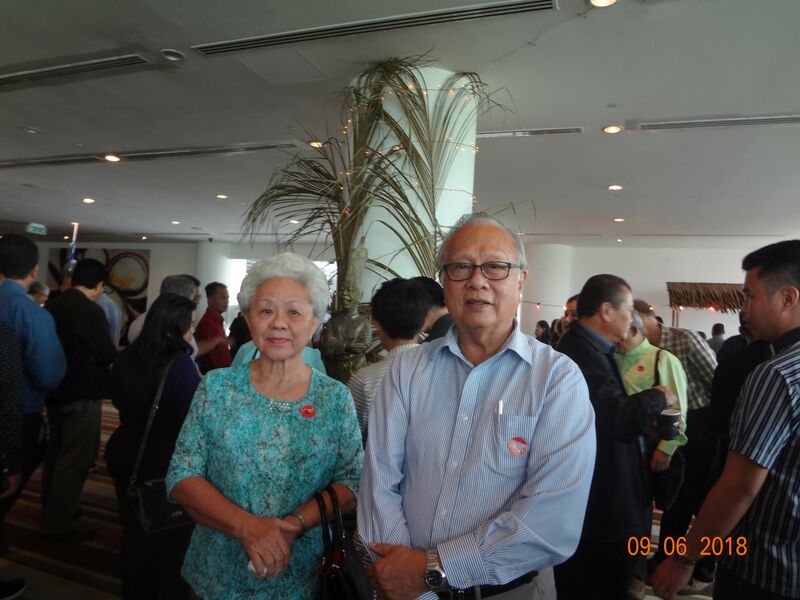 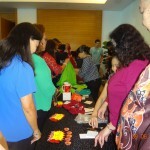 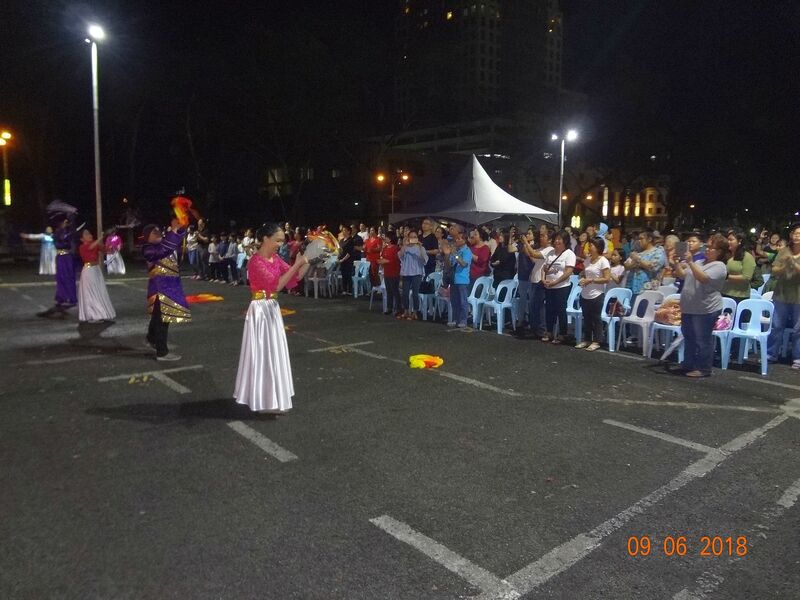 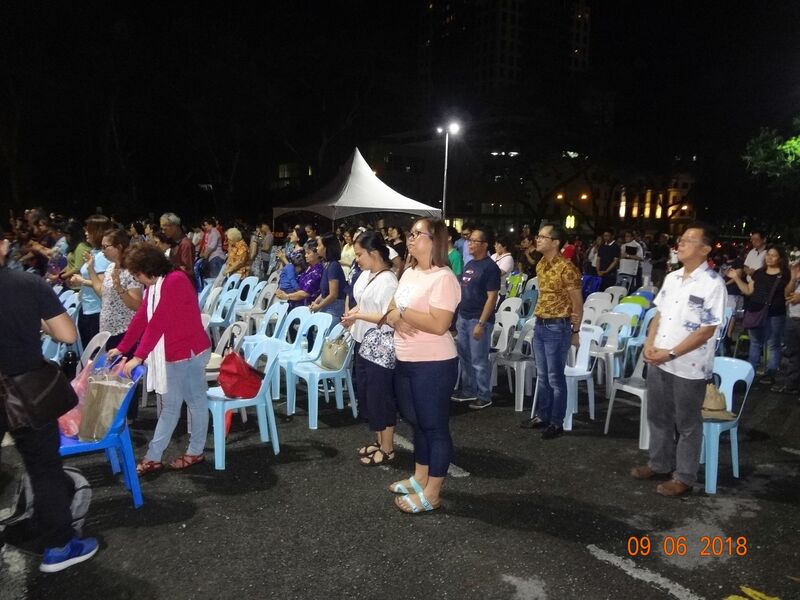 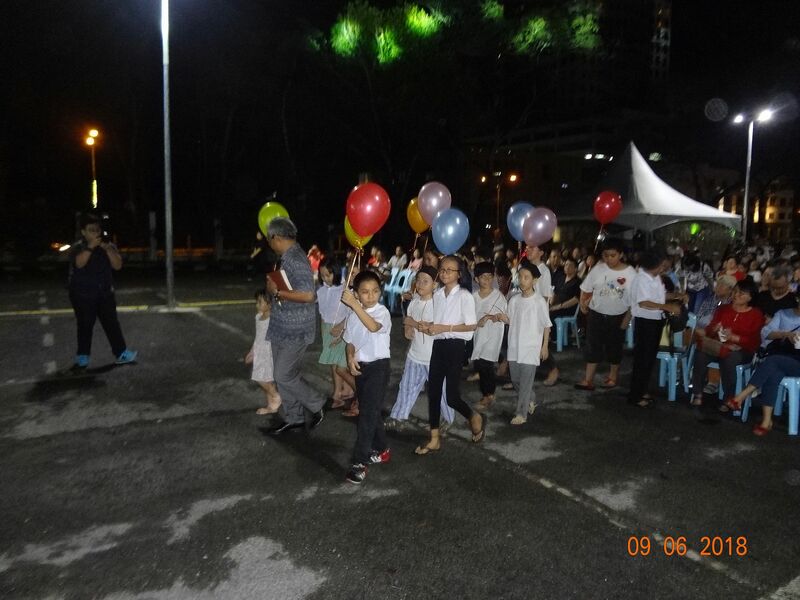 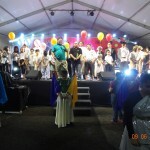 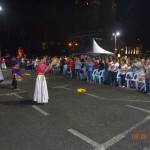 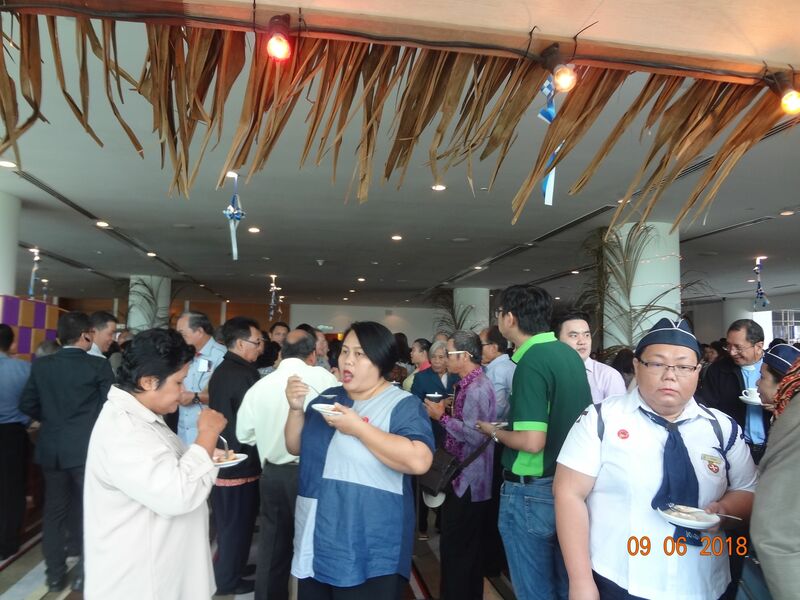 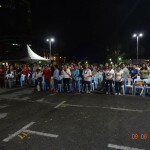 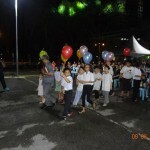 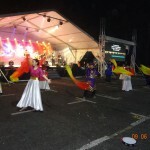 About three hundred parishioners from various parishes around Kuching attended the event. 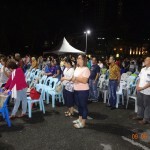 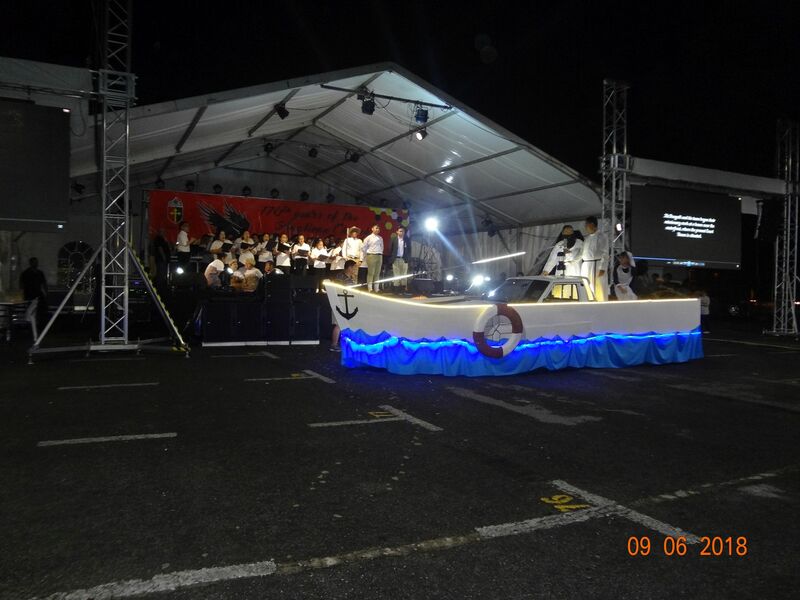 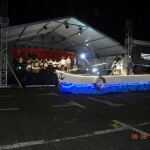 Although it was a dark and cloudy night with rain expected, the event went on smoothly throughout the night by the Grace and Mercy of our Lord, Jesus Christ. 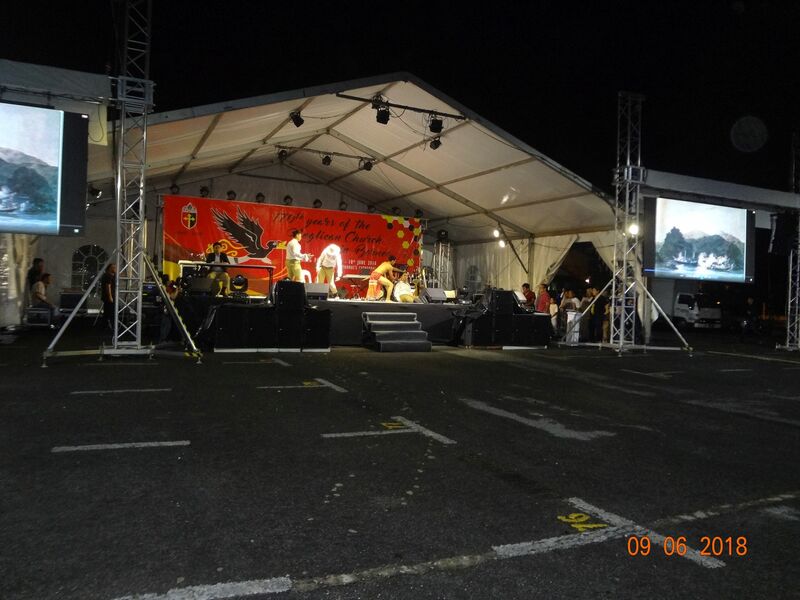 By 7.45pm, the show started. 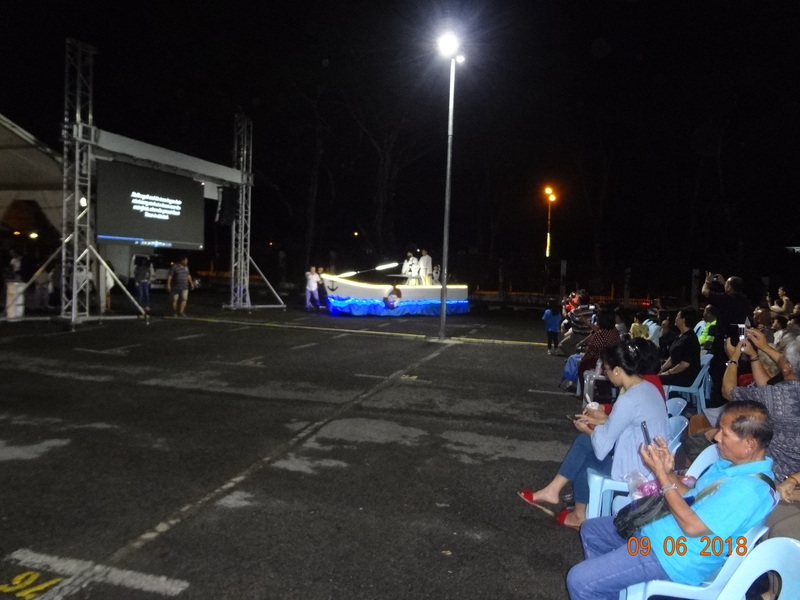 The scenes staged out depicted the arrival of the missionaries of the Borneo Church Mission Institution, led by the Rev’d Dr. Francis Thomas McDougall on June 29, 1848, with his wife Harriet at the waterfront of the Sarawak River where they proceeded to the site of the St. Thomas’s Cathedral. 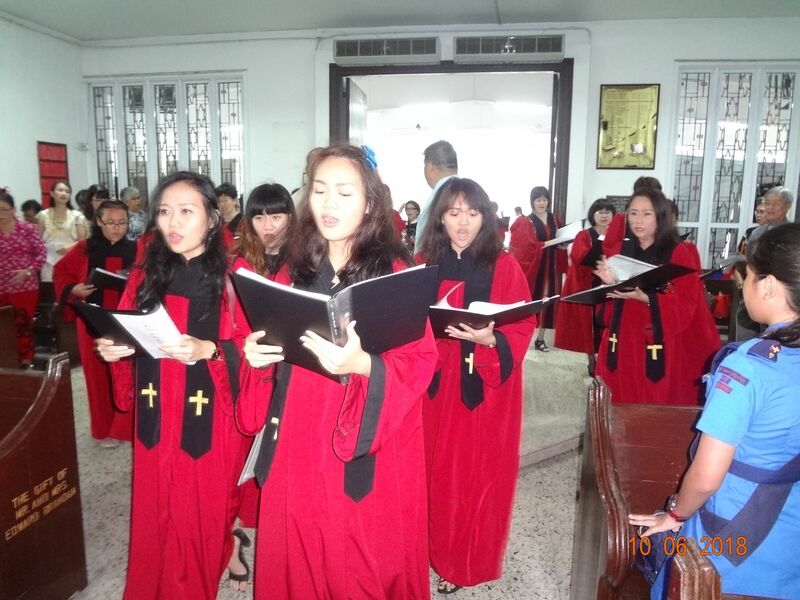 The present Church compound, which was an area of jungle covered hill behind the old town was given to the Church by the Rajah and on 25th August 1849 and Dr. McDougall began the erection of a fine wooden church capable of holding 250 persons. 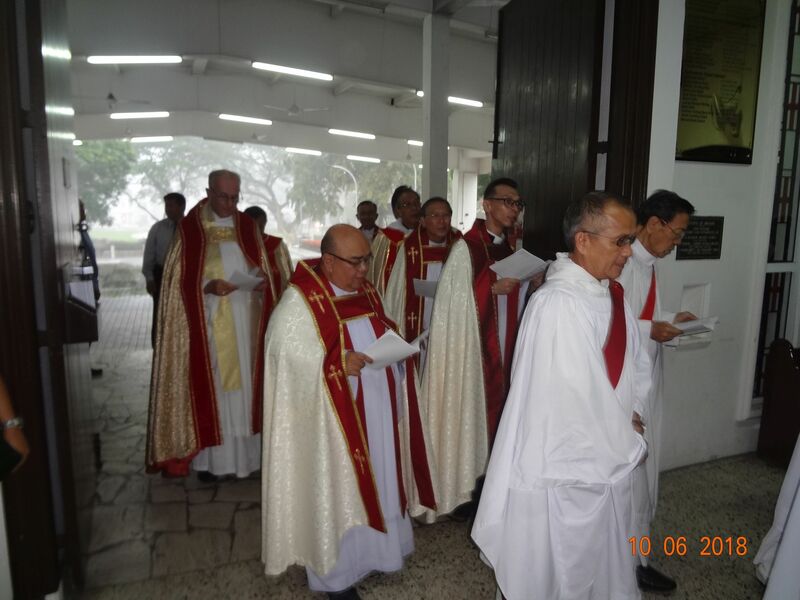 On 22nd August 1851 Bishop Wilson of Calcutta (within whose jurisdiction Kuching then lay) consecrated this Church to the glory of God and in honour of St. Thomas, the Apostle. 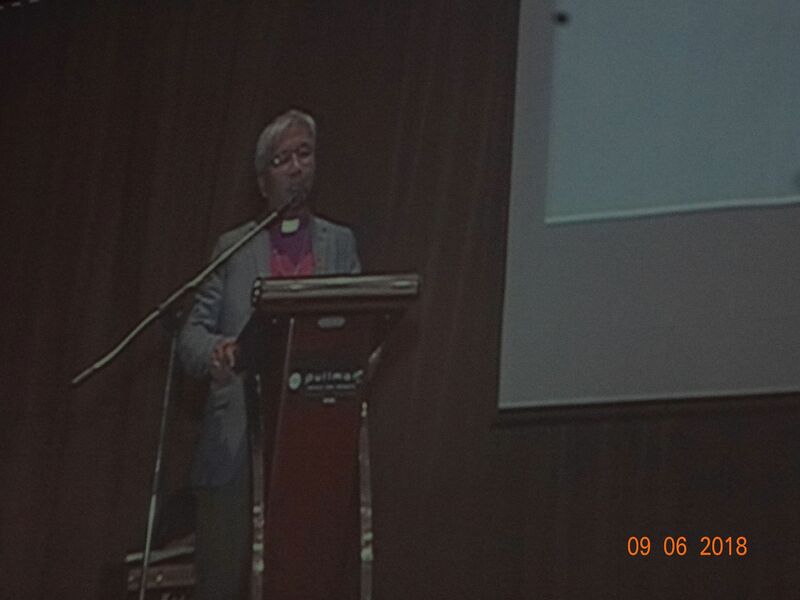 After the concert, Bishop Danald was invited to speak. 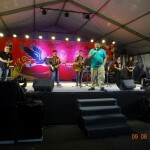 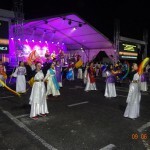 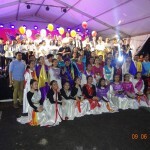 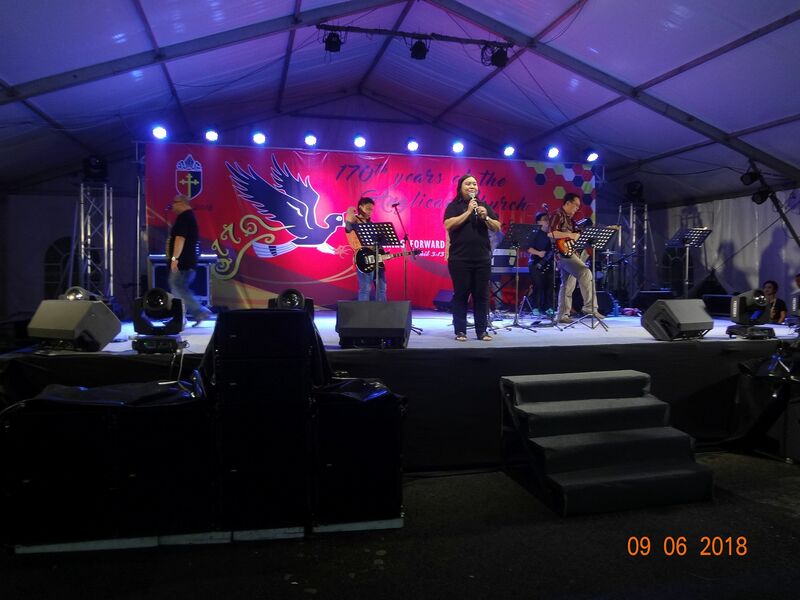 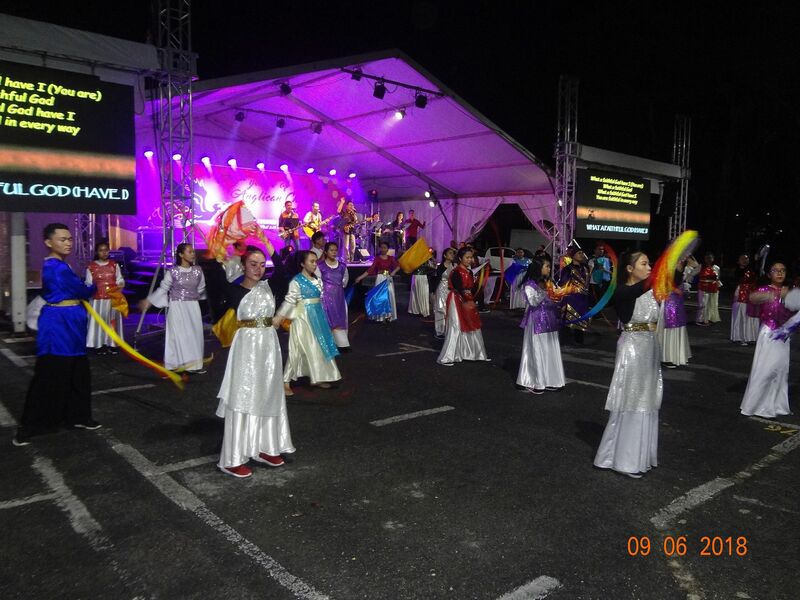 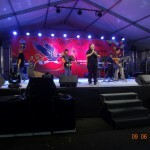 He congratulated the organising youth committee for staging this concert which formed part of his plan to involve the youth to go forward and help the Anglican Diocese to expand its activities to spread the Words of God in Borneo. 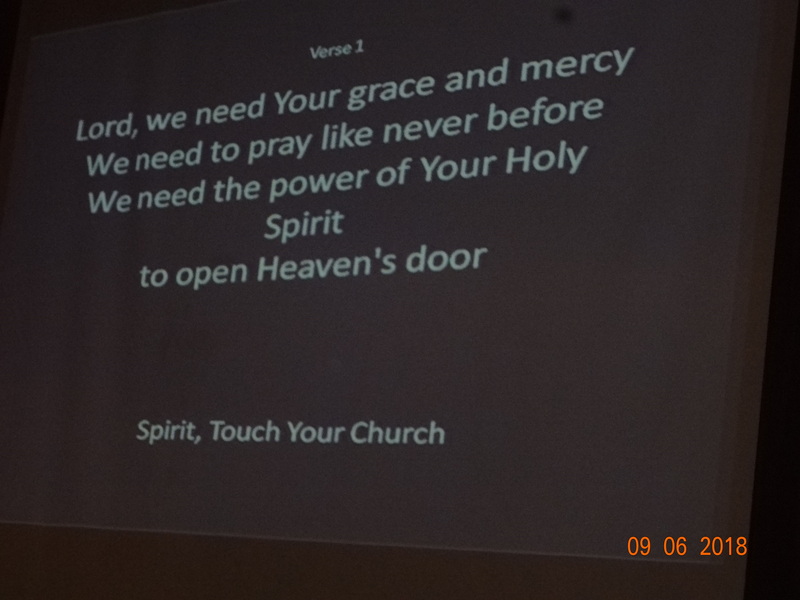 He spoke on Ephesian3:13-19, showing us how deep and how wide is God’s Love and for us to Reach Out to friends and the young ones. 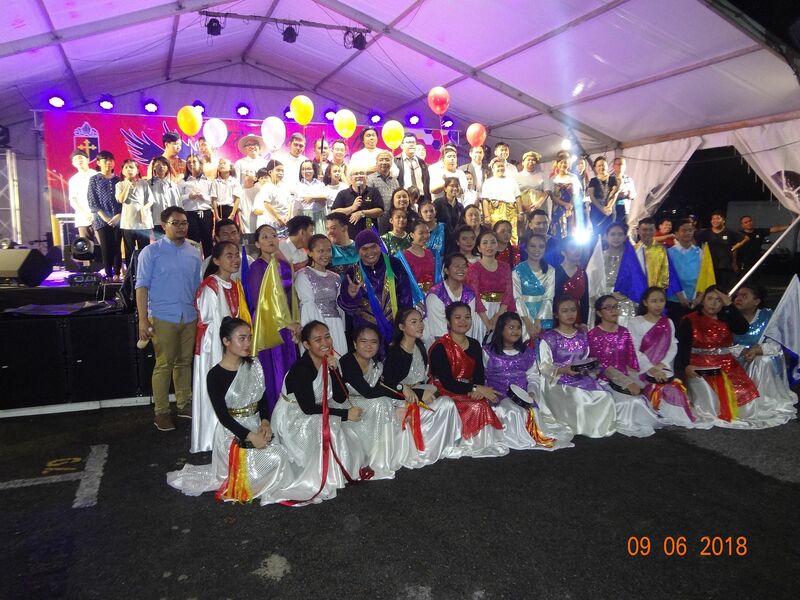 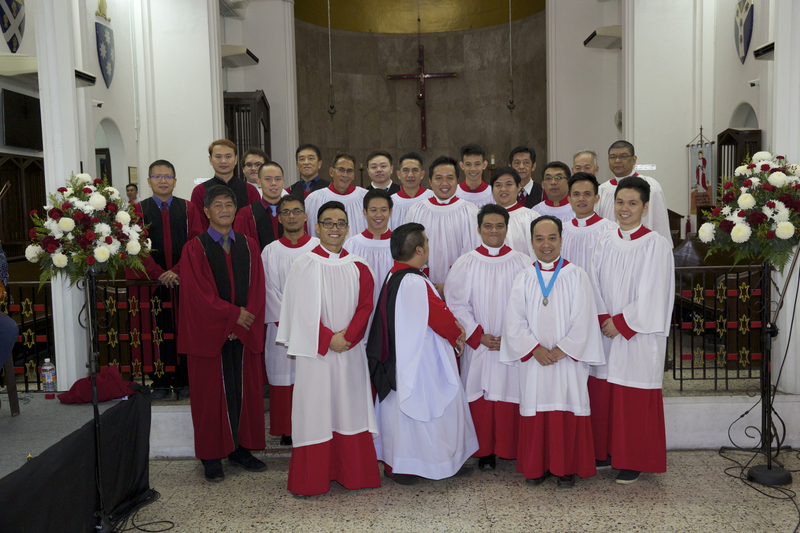 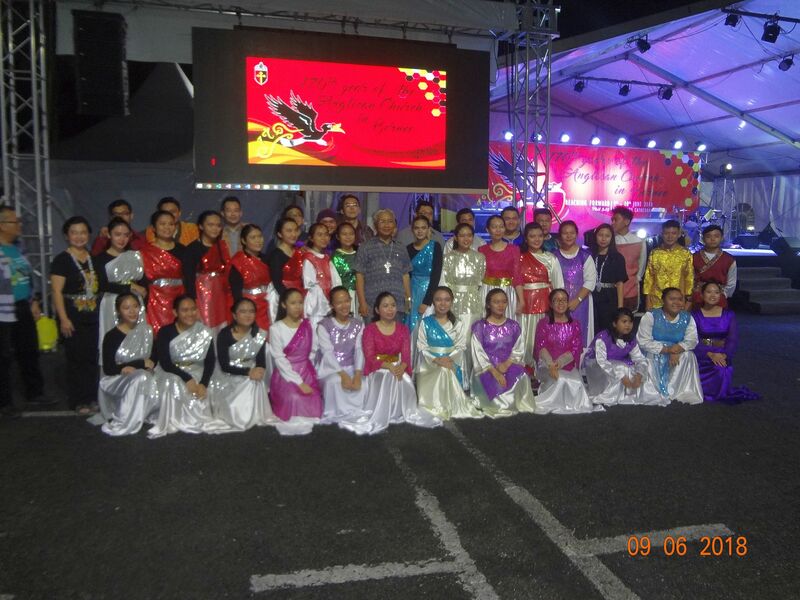 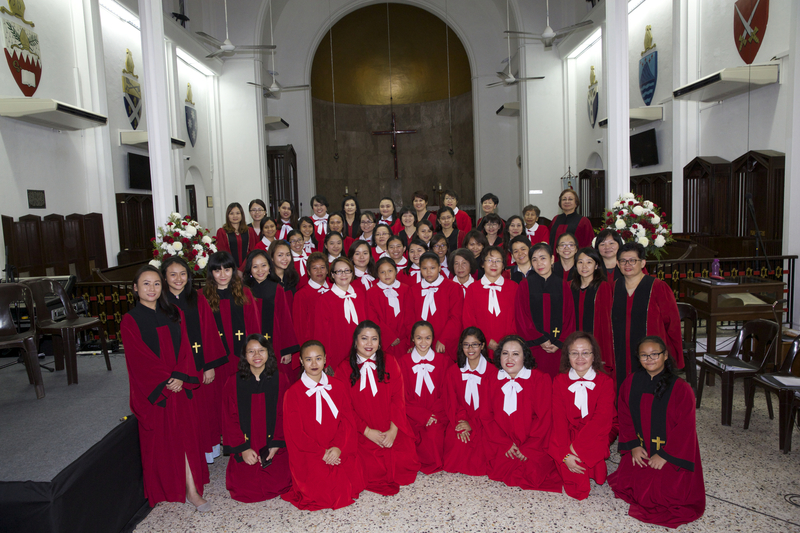 Finally the celebration ended at 9.30pm and Canon Rev’d Andrew Shie recited the closing prayer and group photos of the organising committee and performers were taken with Canon Andrew Shie and Bishop Danald. 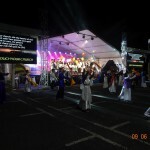 The year-long celebration will culminate with the rededication and reconsecration of the Bishop House celebrating its 170th anniversary in 2019. 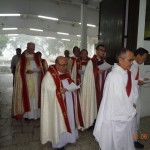 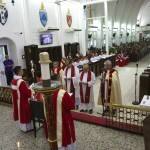 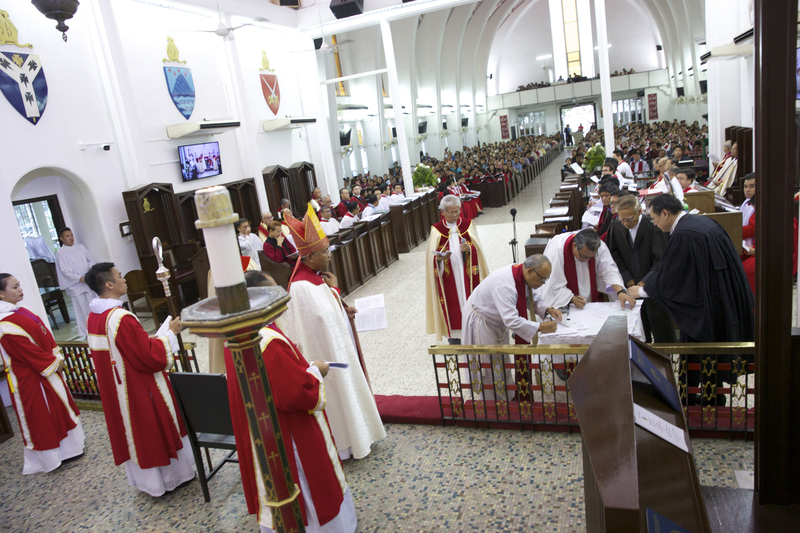 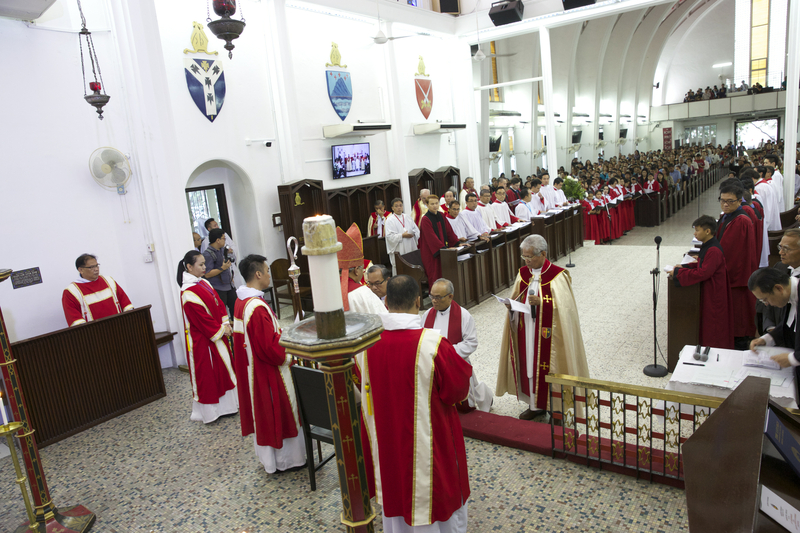 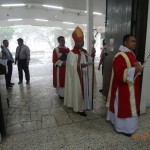 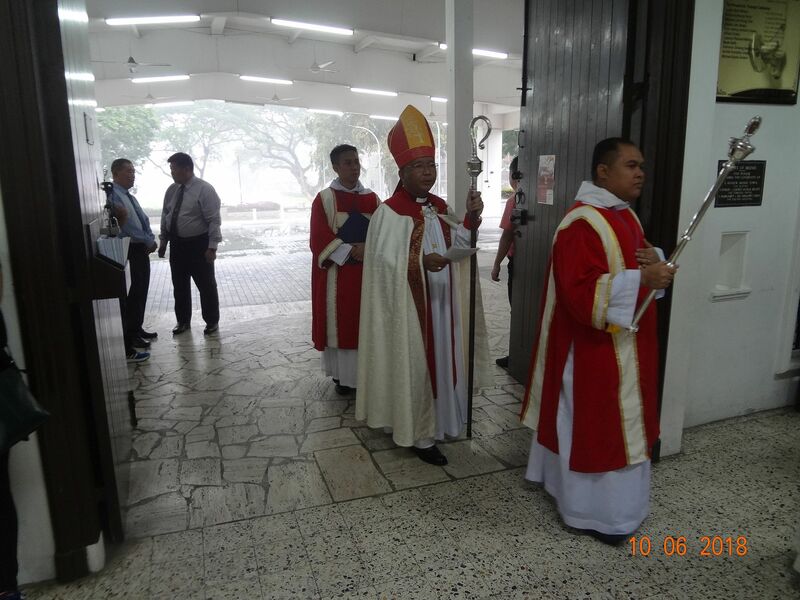 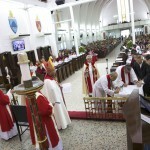 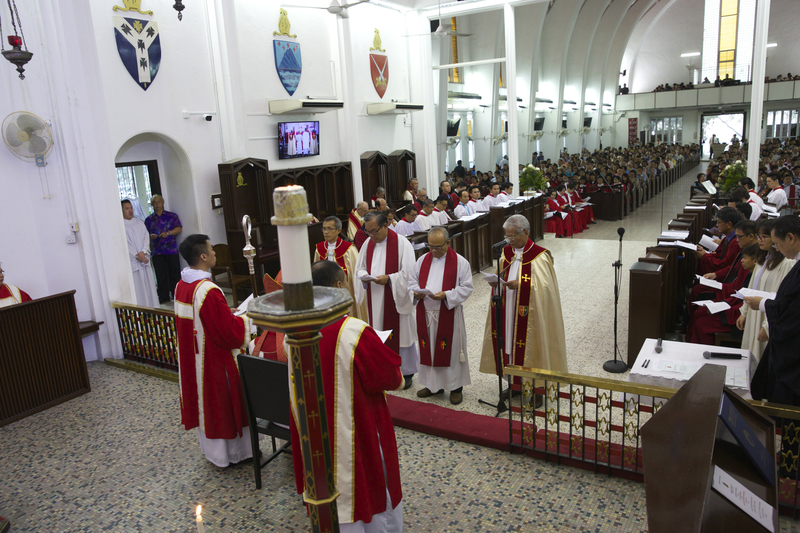 The Thanks-giving service started with the appointment of the Archdeacons and Canons by the Bishop of Kuching, The Rt. 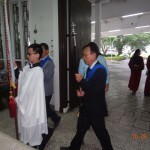 Rev’d Danald Jute. 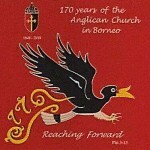 Rev’d Stanley Bunseng was appointed as Archdeacon for Northern Sarawak and Negara Brunei Darusalam. 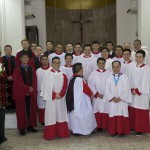 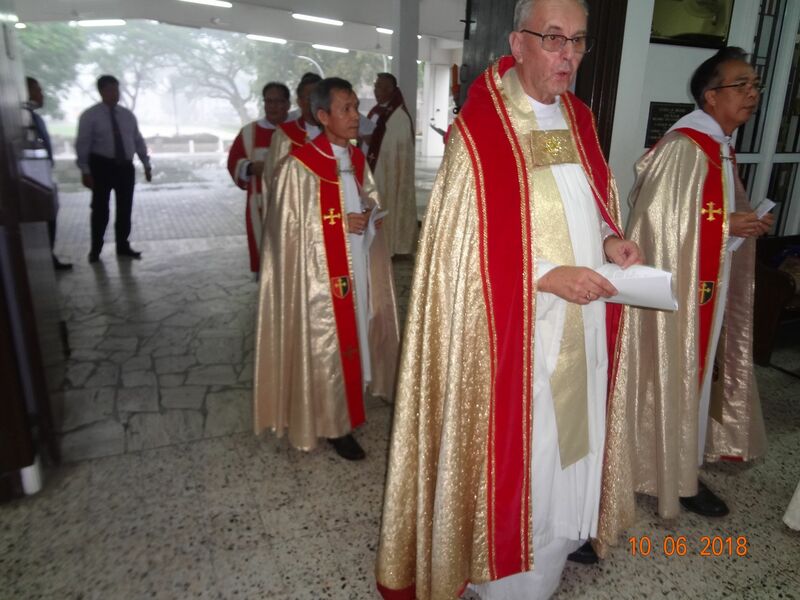 Rev’d Jose Jol Endru was appointed as Archdeacon for Lower Southern Sarawak. 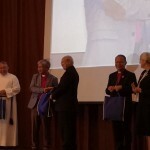 Rev’d Dennis Gimang and Rev’d Andy Shie were appointed as Canons of the Cathedral and Rev’d Roannie Cannidy was appointed as Canon Precentor of the Cathedral. 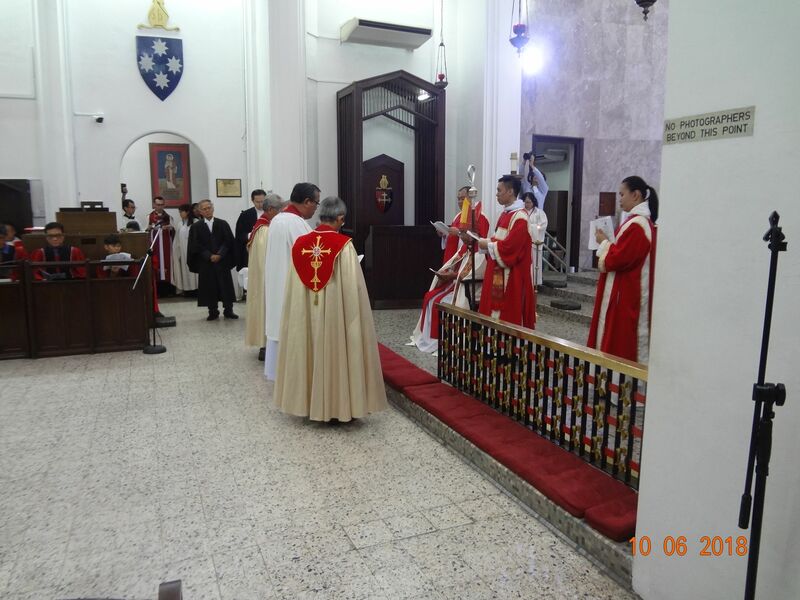 The Evensong Liturgy Service was held after the Appointment Service with Bishop Danald as the celebrant and Preacher on the Gospel according to St. Luke ^:6-13. 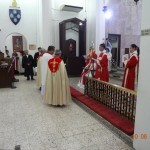 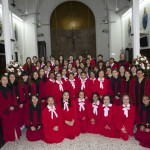 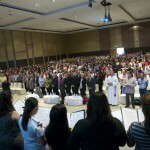 During the Holy Communion Service, all the new Appointees were invited to participate in the service. 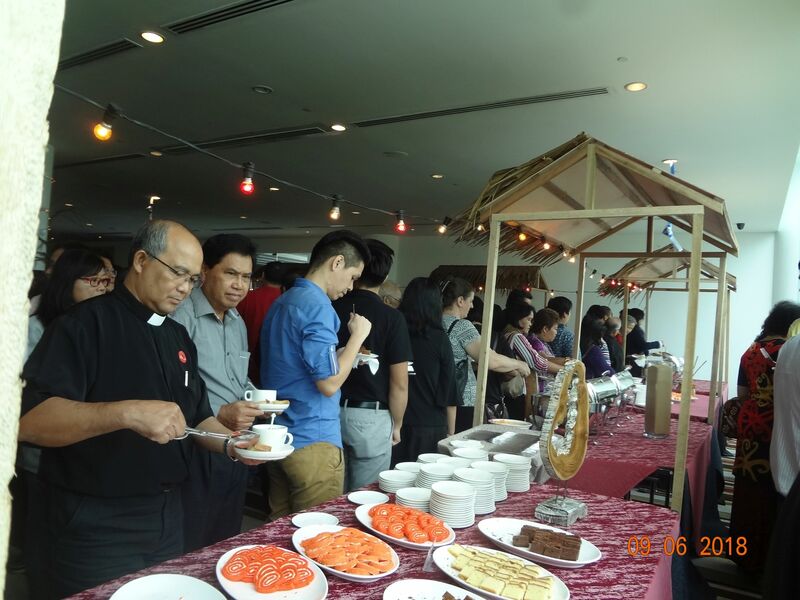 After the service, all were invited to the Parish Hall for a celebration buffet dinner served by the Women Fellowship of The CSC, St. 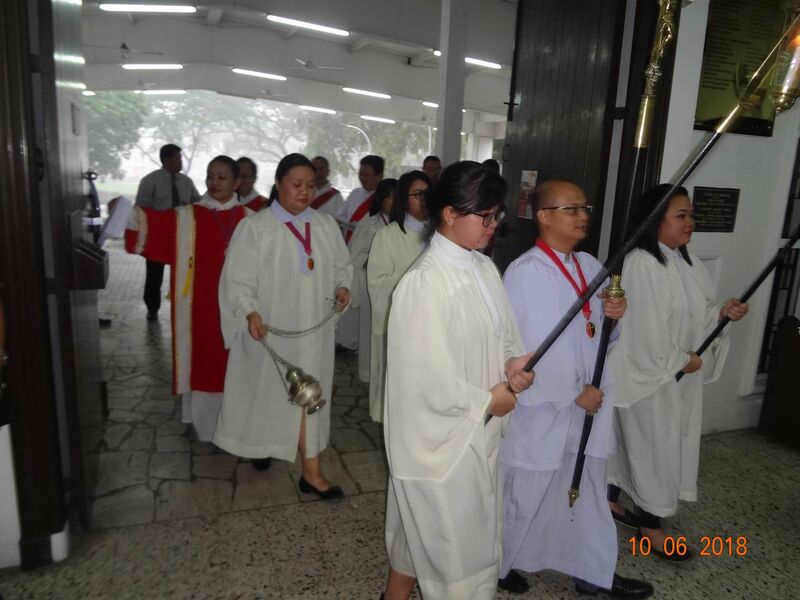 Faith and the Cathedral.